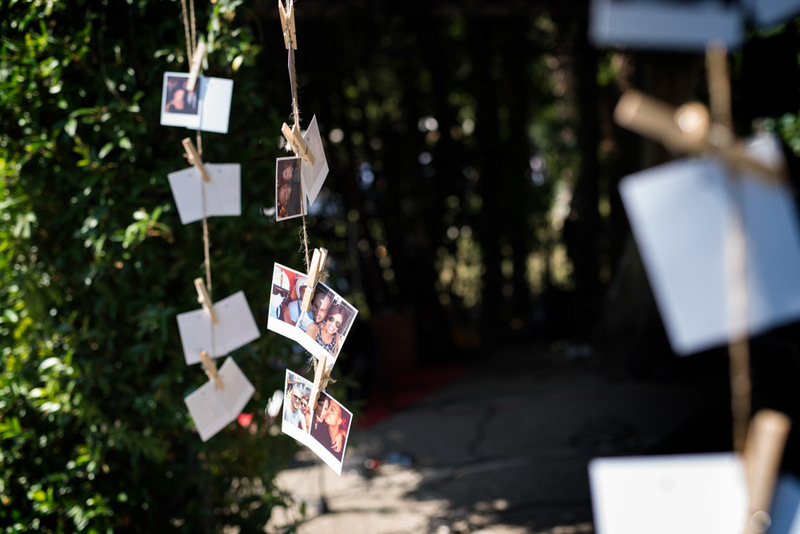 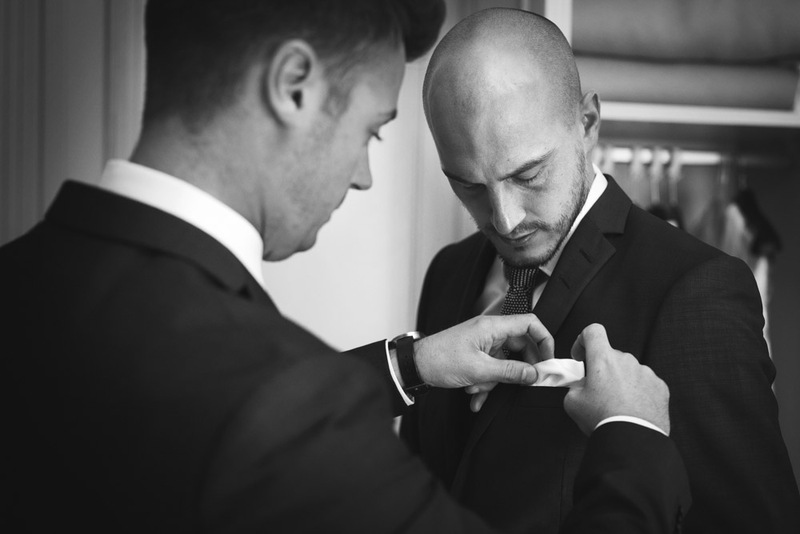 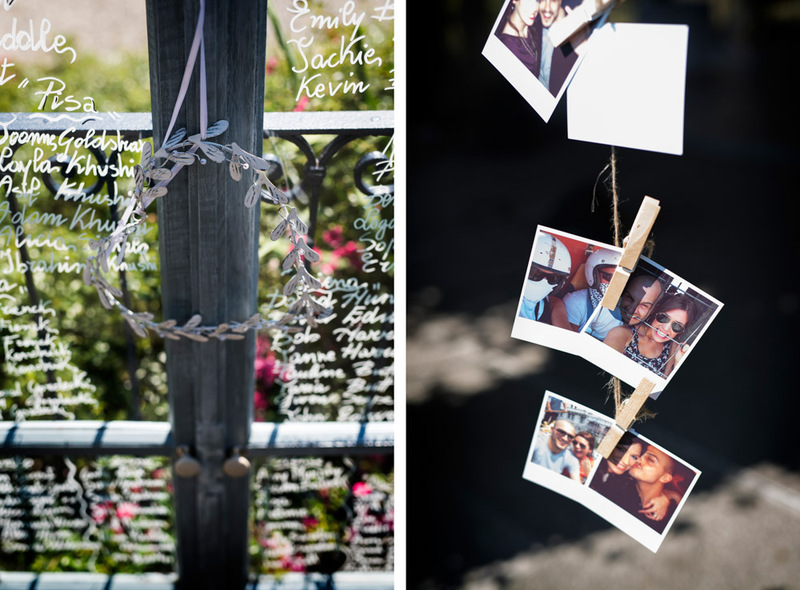 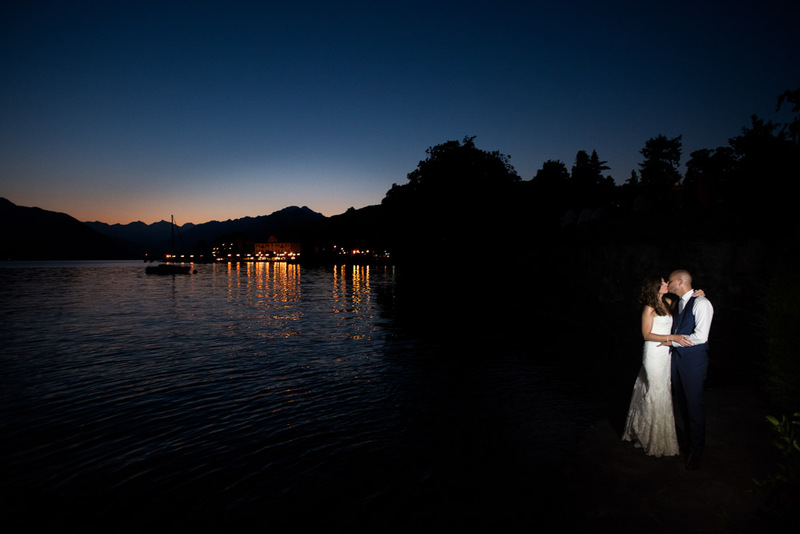 Here you can find out the full photographic story about Kelly and Mark wedding on Lake Maggiore, Italy. 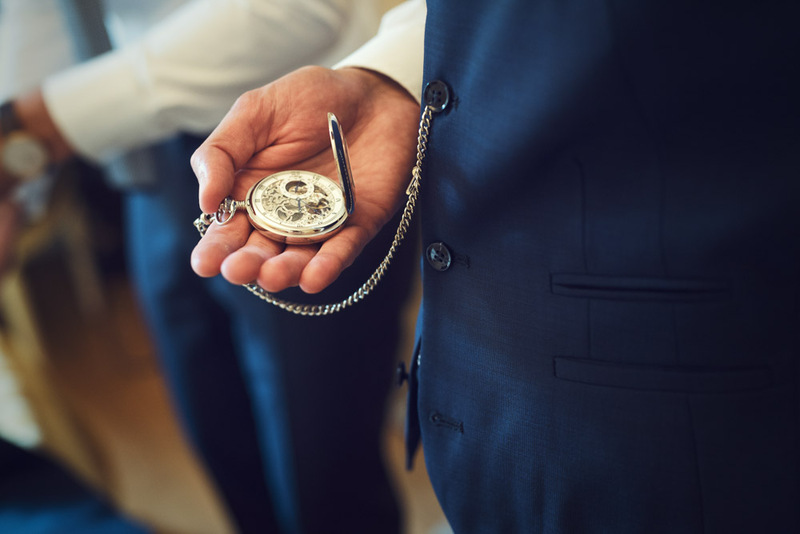 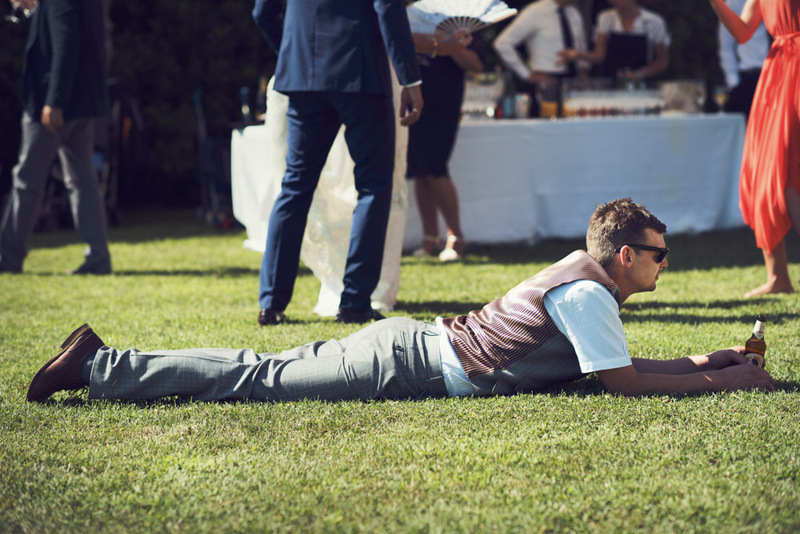 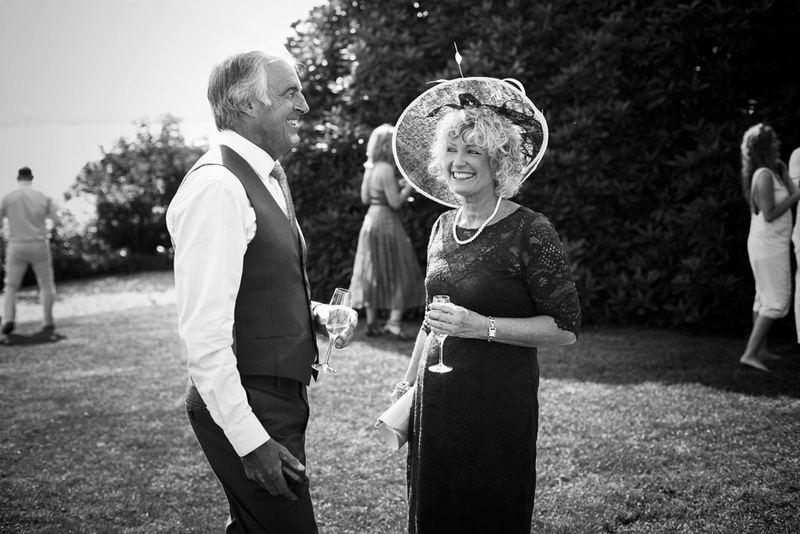 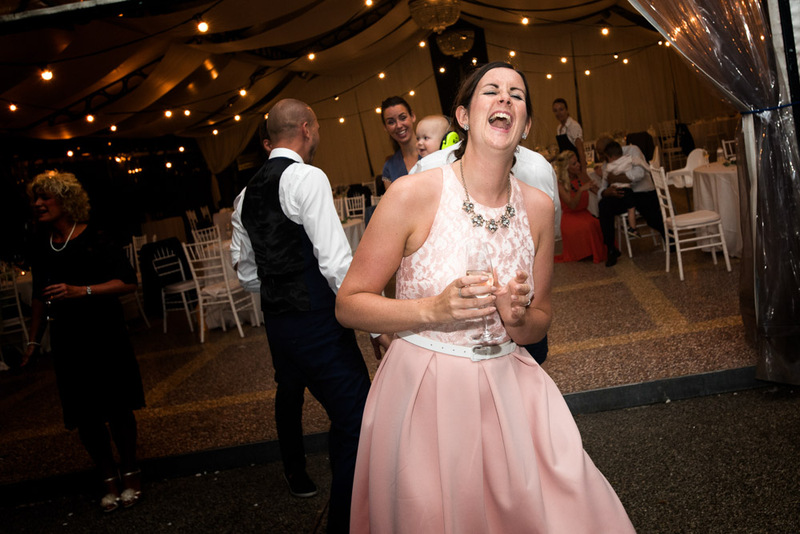 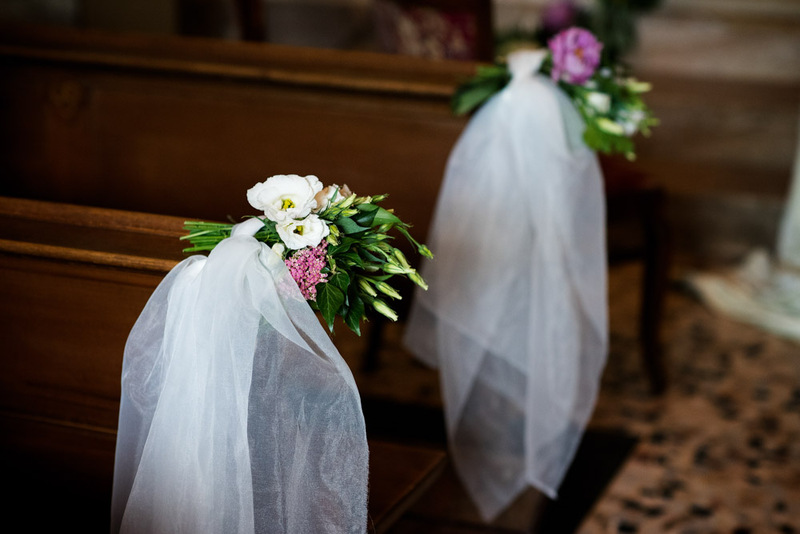 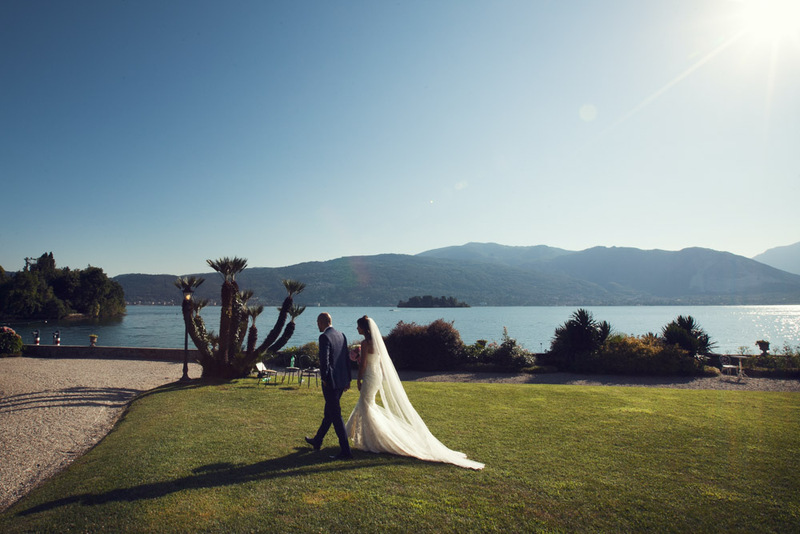 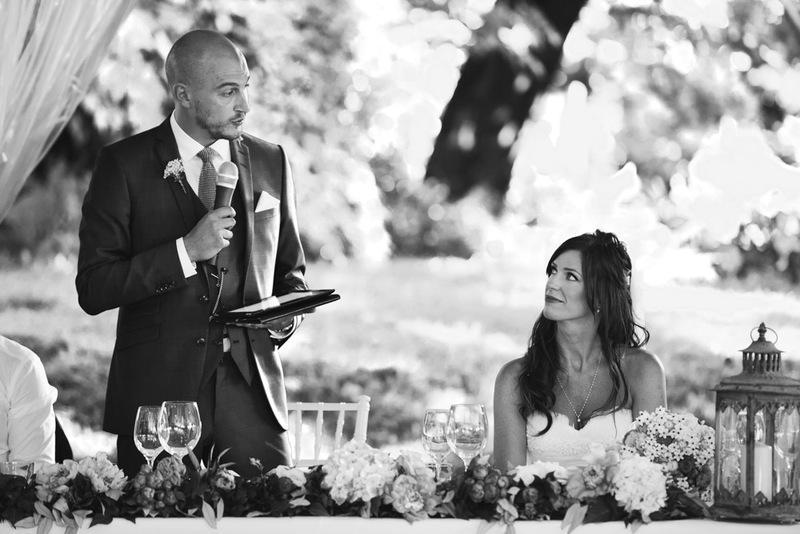 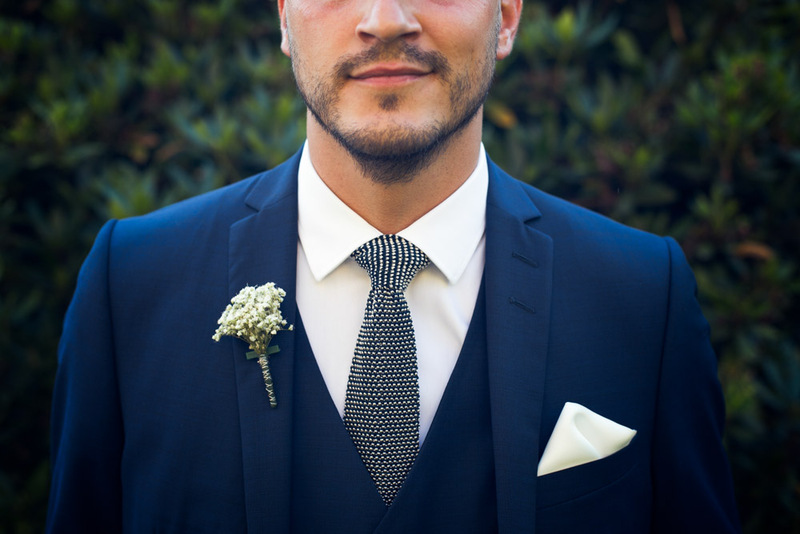 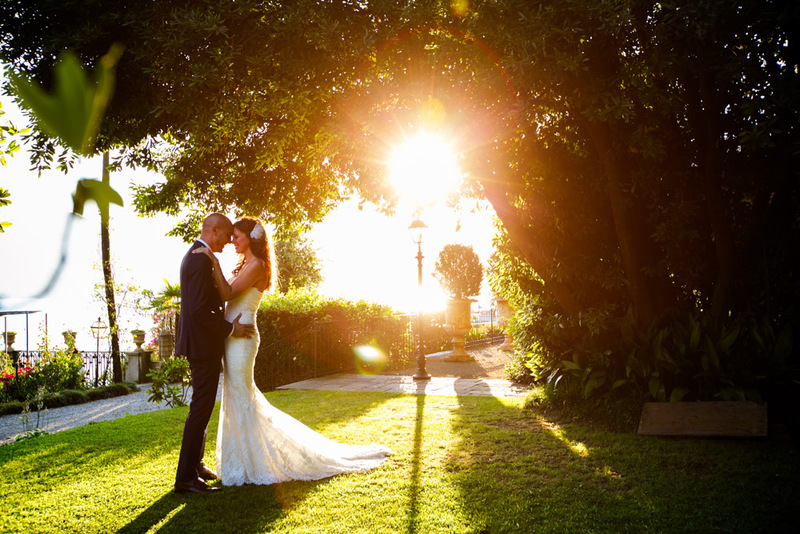 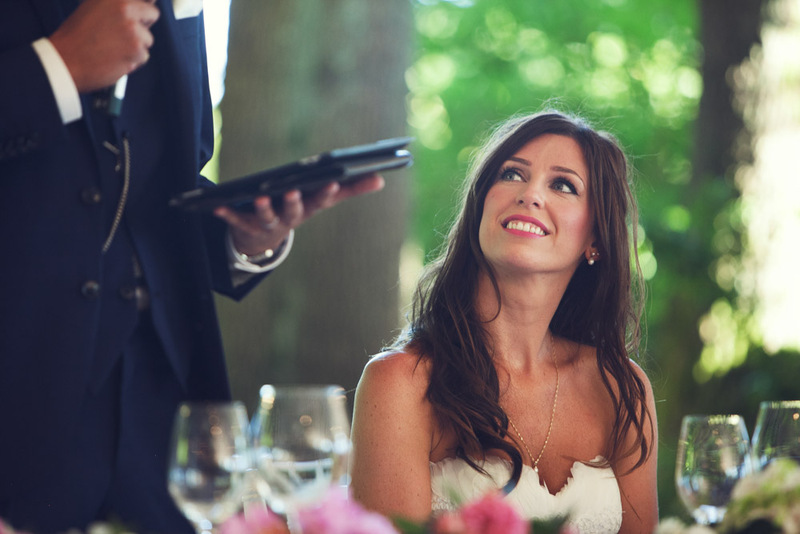 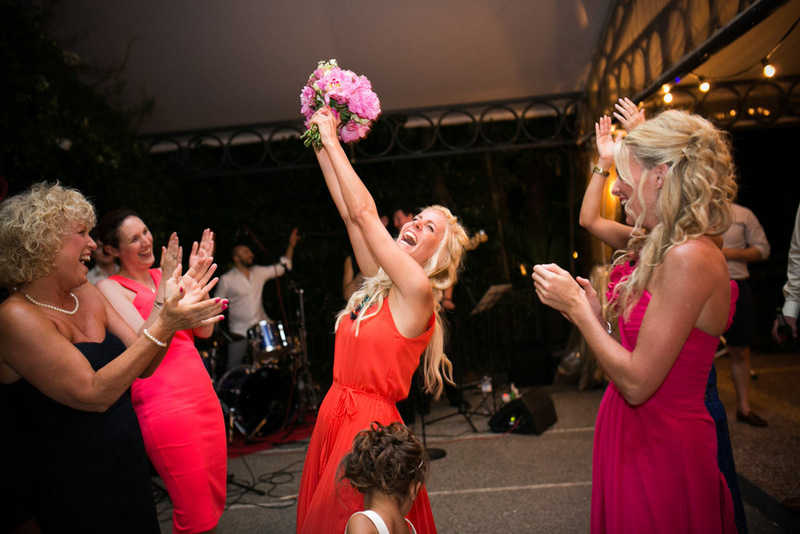 Kelly and Mark from the UK got married on Lake Maggiore, in Italy, with a Catholic ceremony on Borromeo Islands and reception at Villa Rusconi just by the shores! 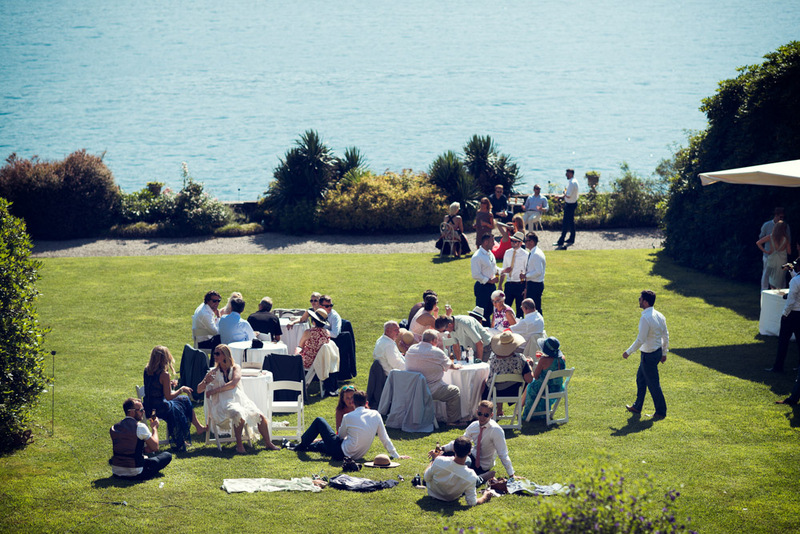 A lovely sun and the beautiful surround of the lake made a perfect day to get married. 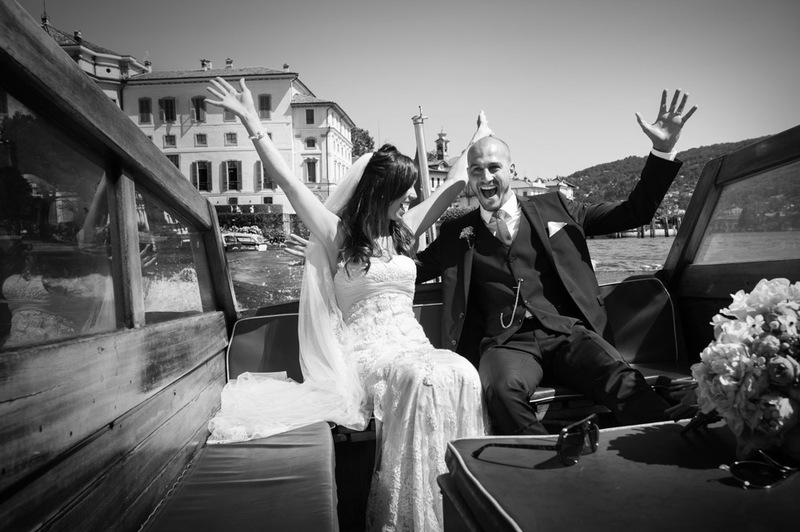 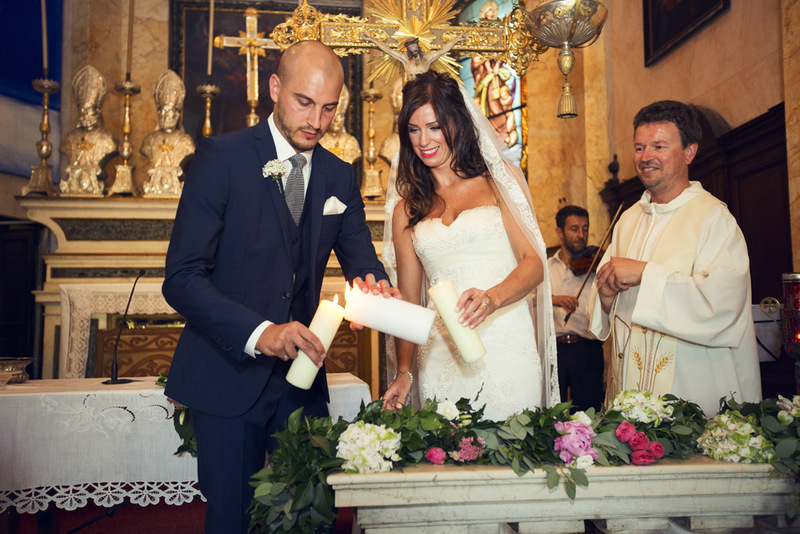 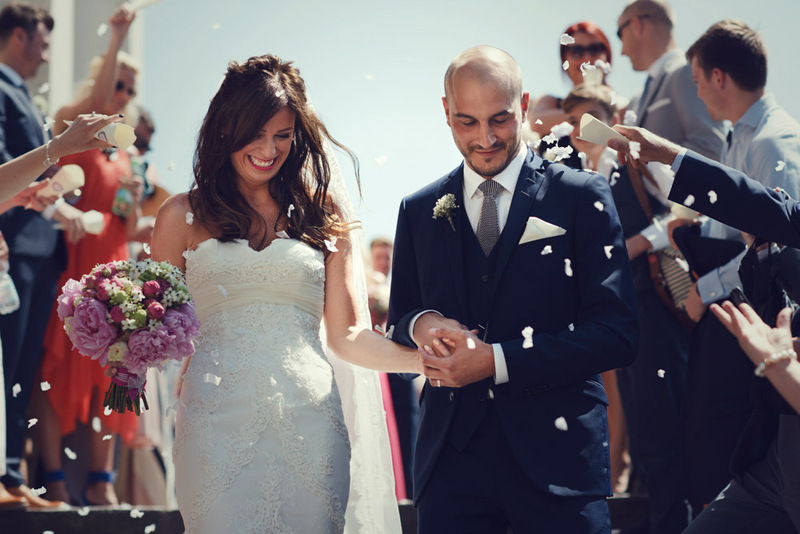 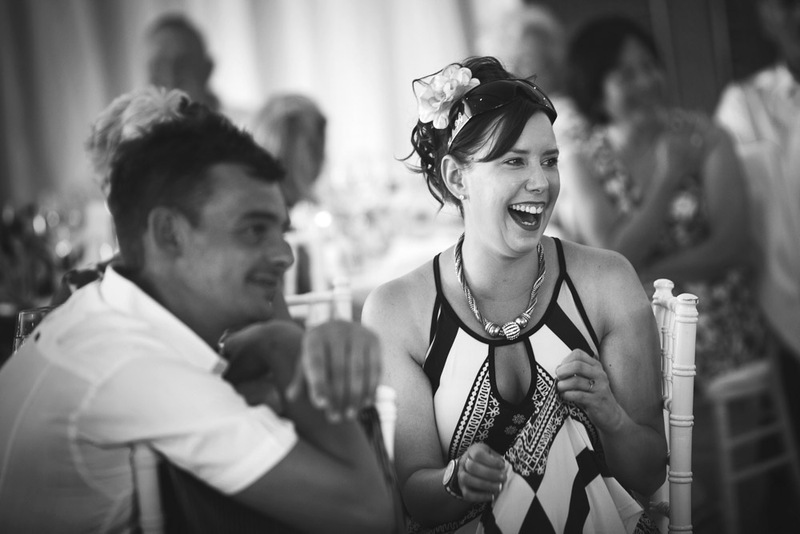 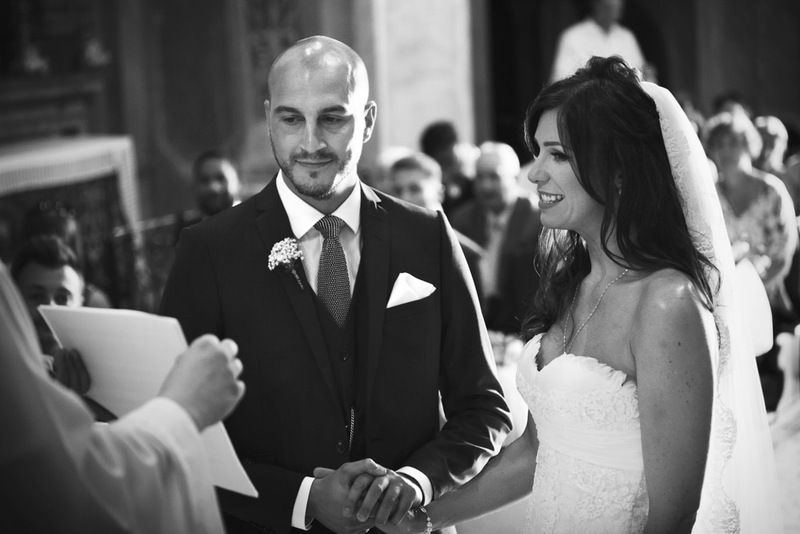 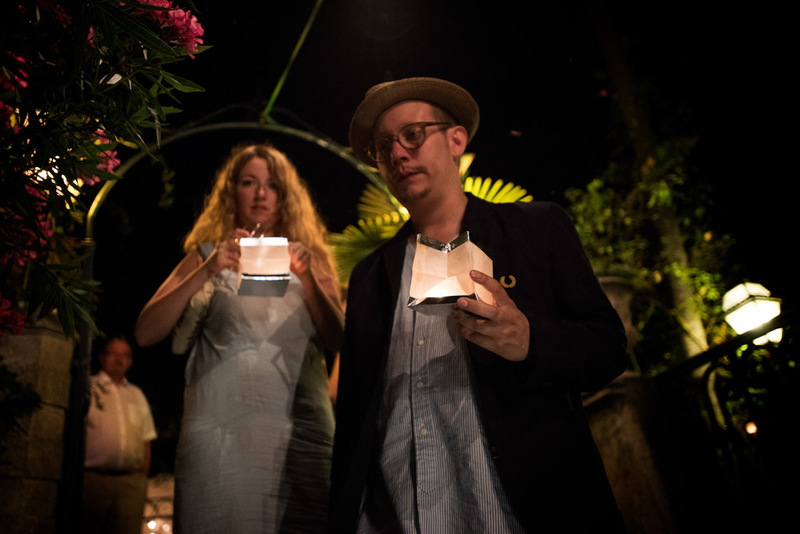 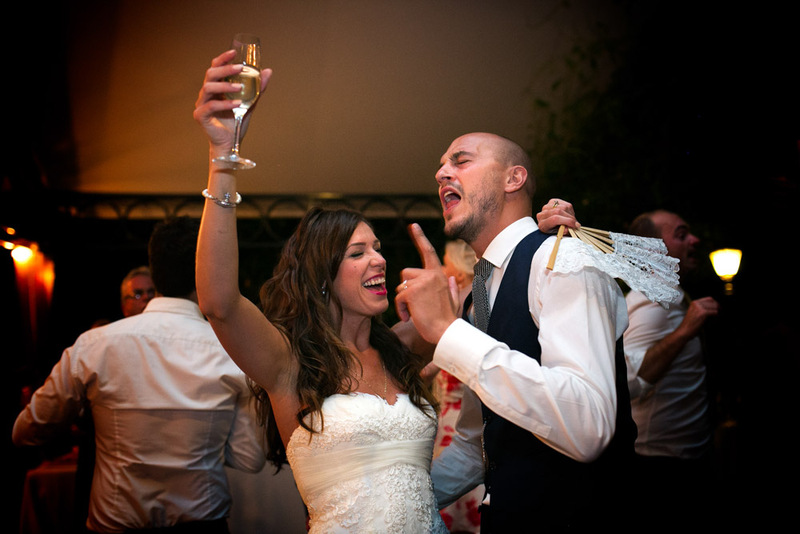 Kelly and Mark are such a beautiful couple: Mark from London and Kelly from Manchester decided to get married in Italy because they were here for a holiday when Mark made his proposal. 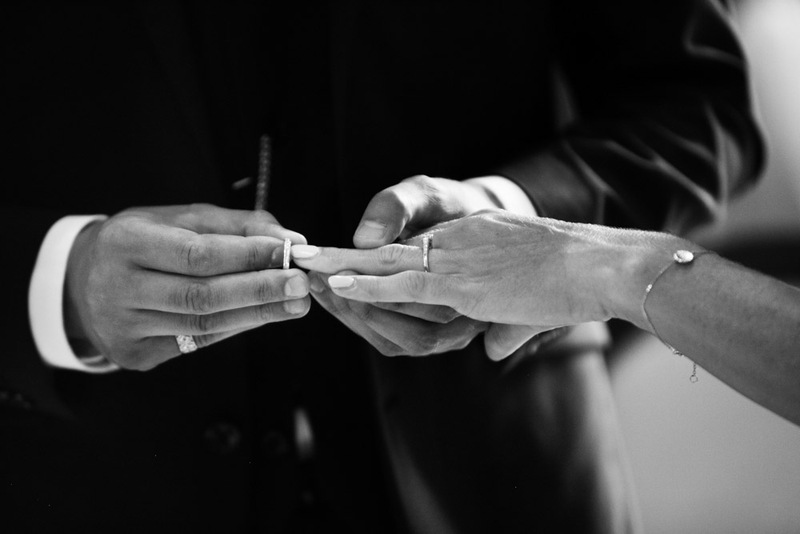 They met each other, in the same hotel as the proposal one, eight years before, for a business conference, as they worked for the same company. 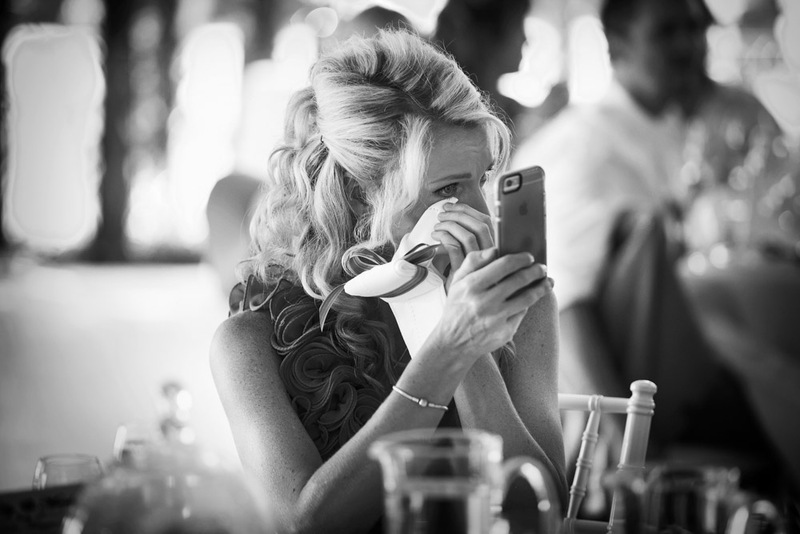 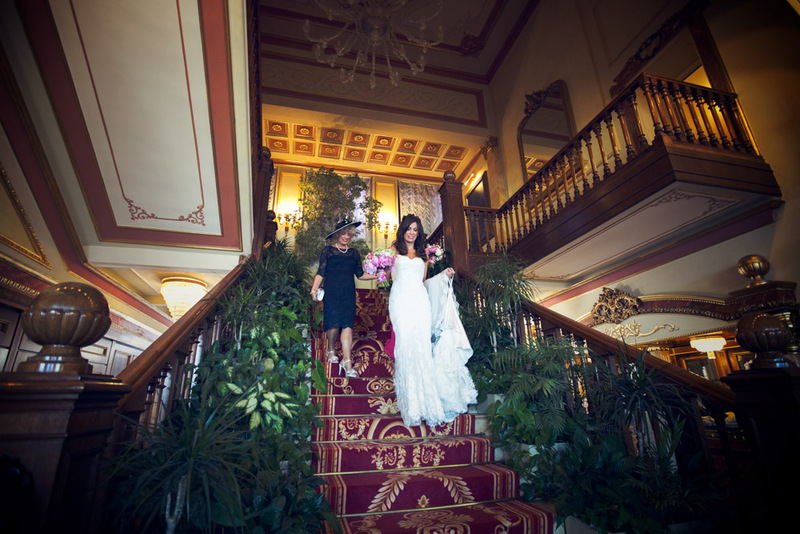 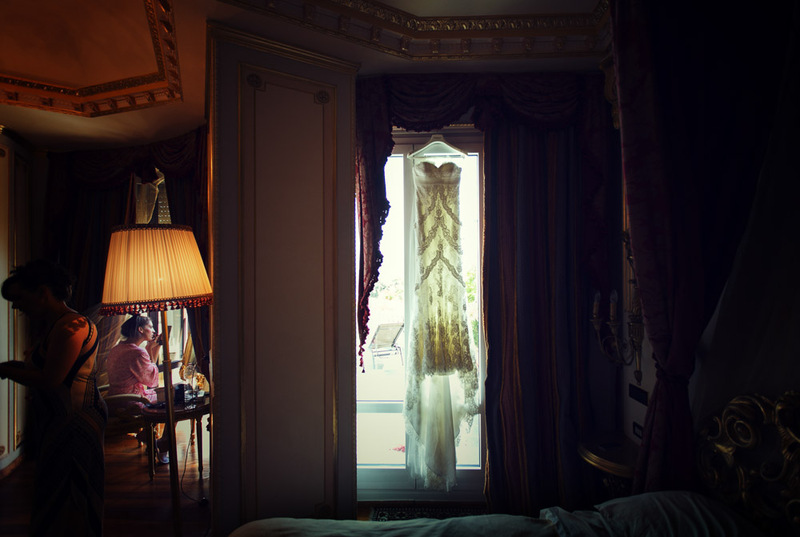 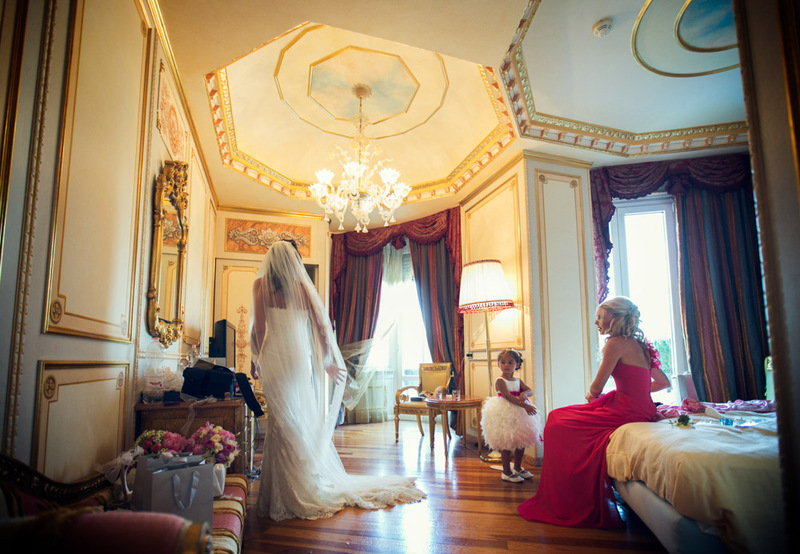 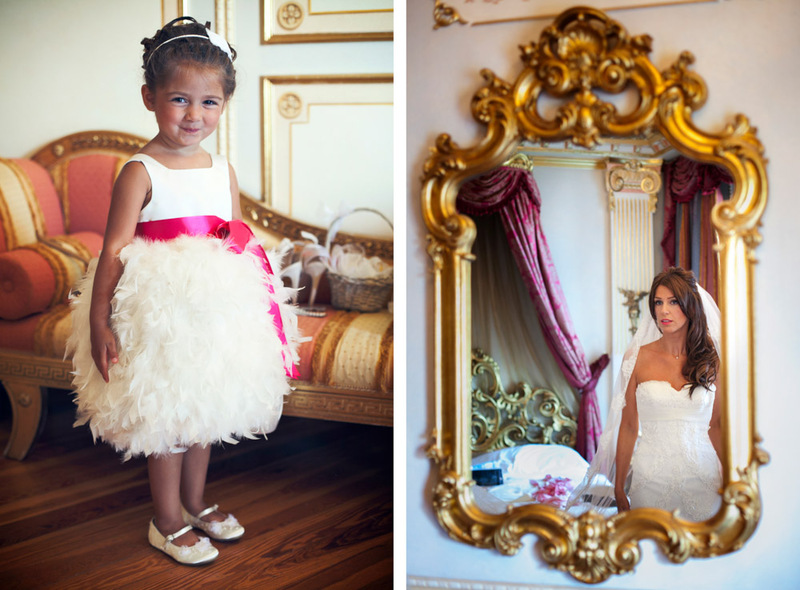 Kelly and Mark got ready in Stresa at Regina Palace (of course in two different rooms! 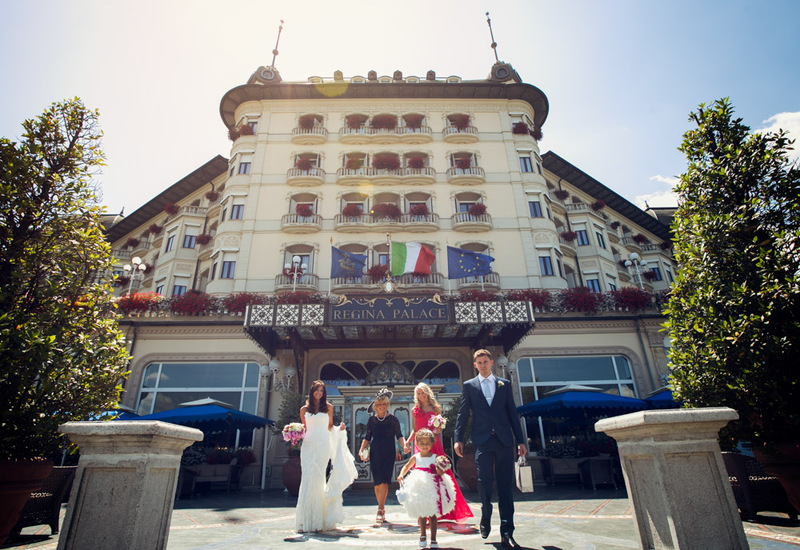 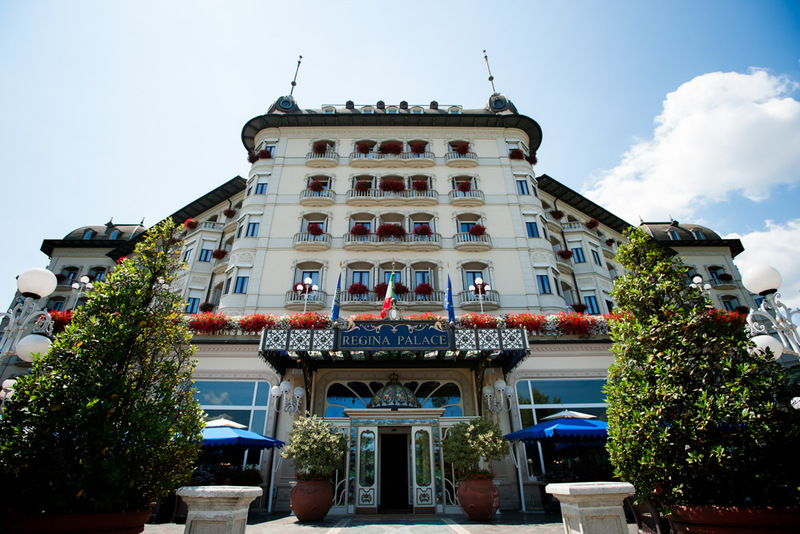 ), one of the best hotel overlooking Lake Maggiore. 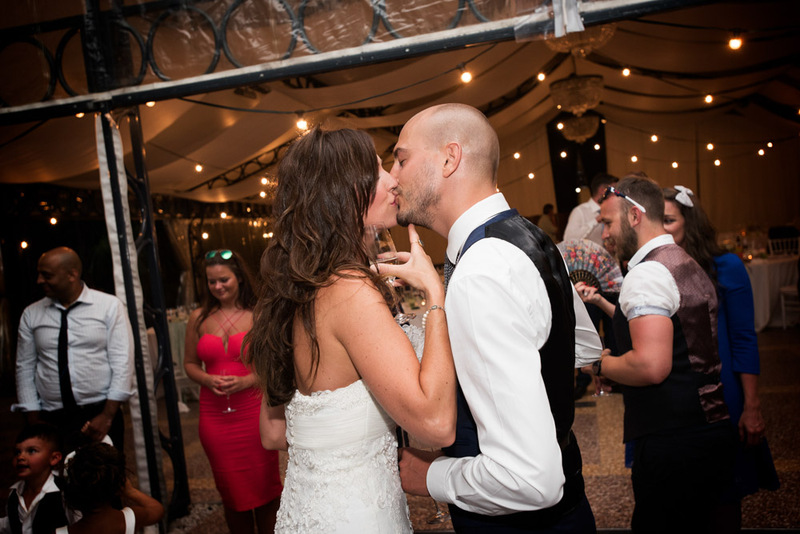 Kelly decided to do her make up and hairdressing by herself, as she works for a cosmetics company and she also made all bridesmaids make up, well done Kelly!!! 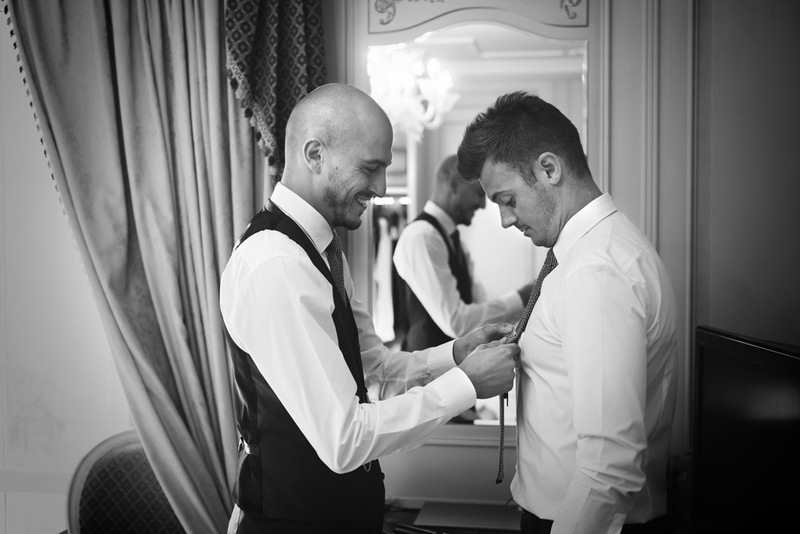 In the meantime Mark met his boys at the hotel bar for a couple of drinks and some photos. 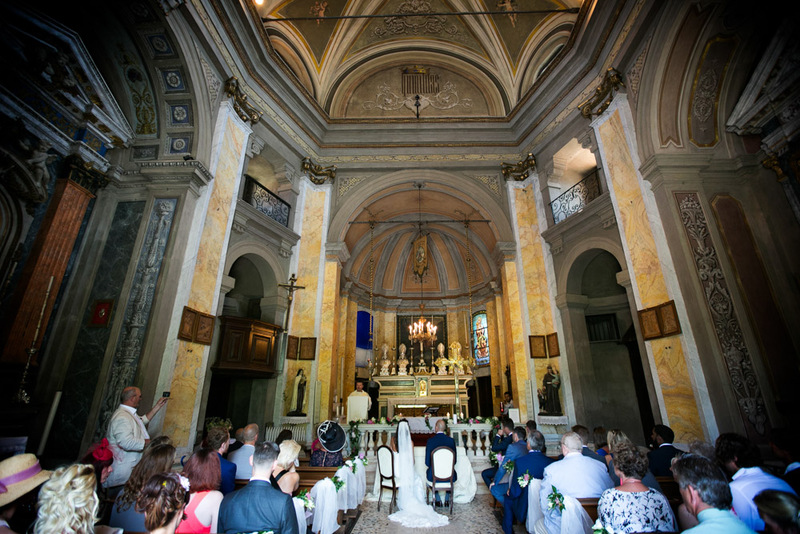 Mark and guests went to Isola Bella by a motorboat and, waiting in the church, Mark was very excited. 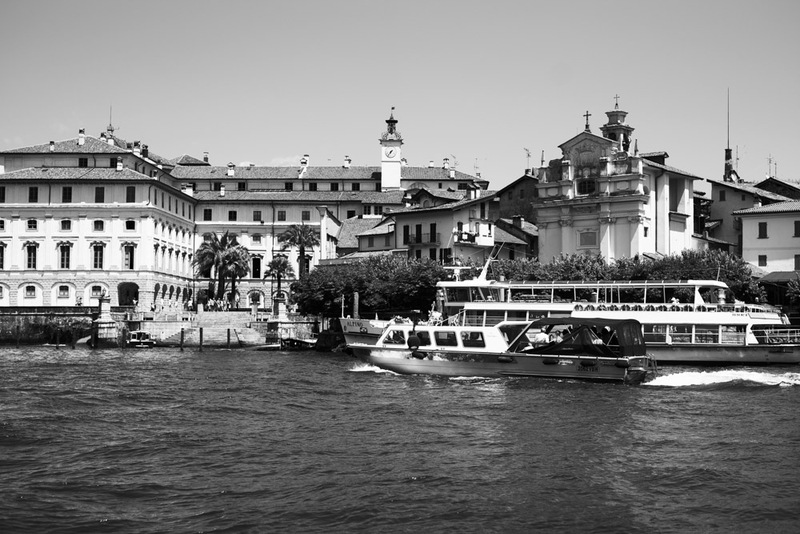 When everybody were in the church another boat brought Kelly and her ladies from the hotel to the island. 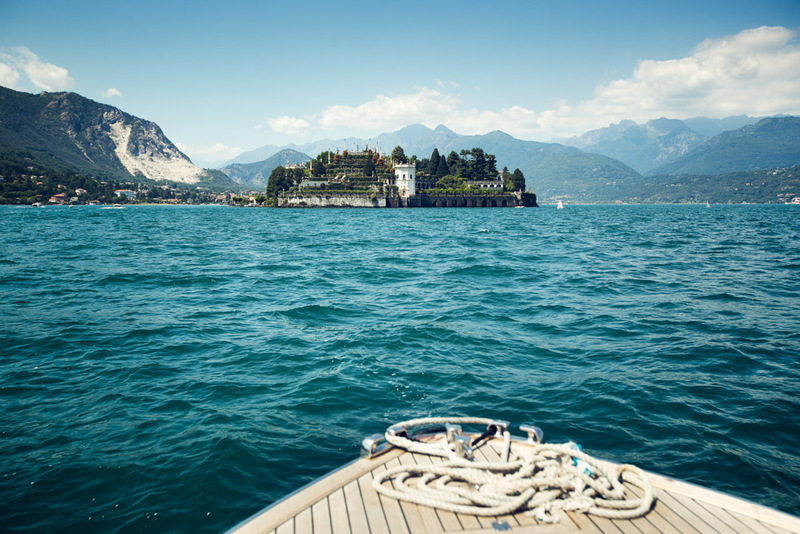 Isola Bella is one of the Borromeo Islands of Lake Maggiore in north Italy. 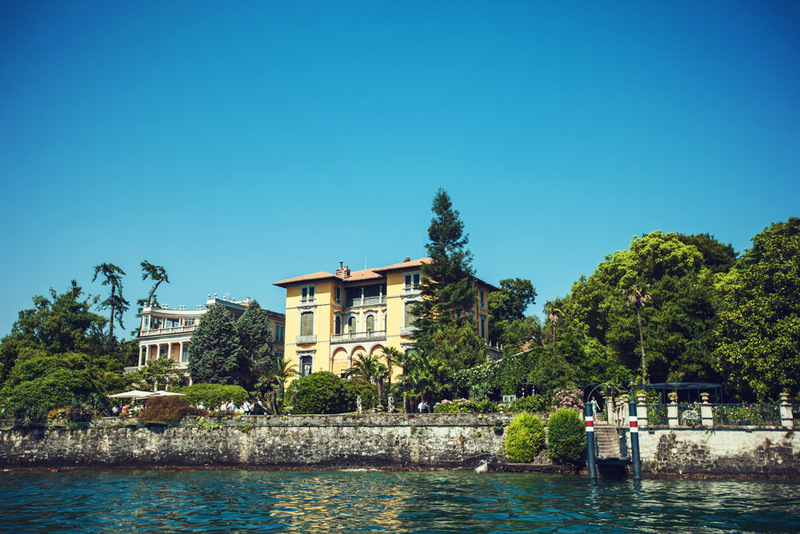 It was a fishing village until 1632 when Carlo III from Borromeo’s began to build a palace dedicated to his wife, Isabella, from whom the island takes name. 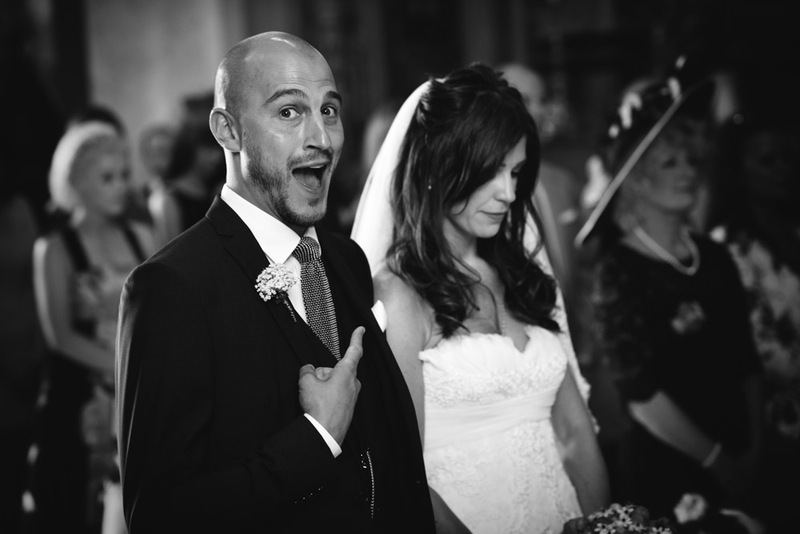 Mark was a little bit nervous but excited and when Kelly arrived, walking the aisle, was absolute stunning. 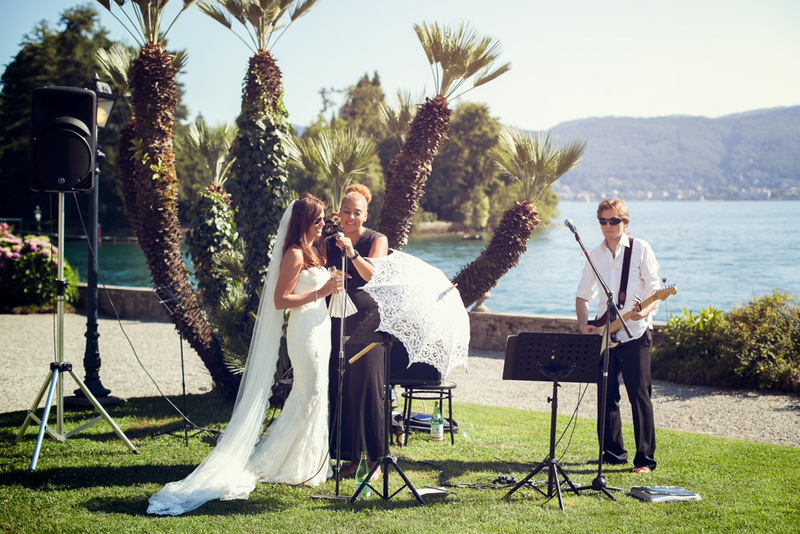 A talented soloist violinist accompanied the ceremony, that was very touching. 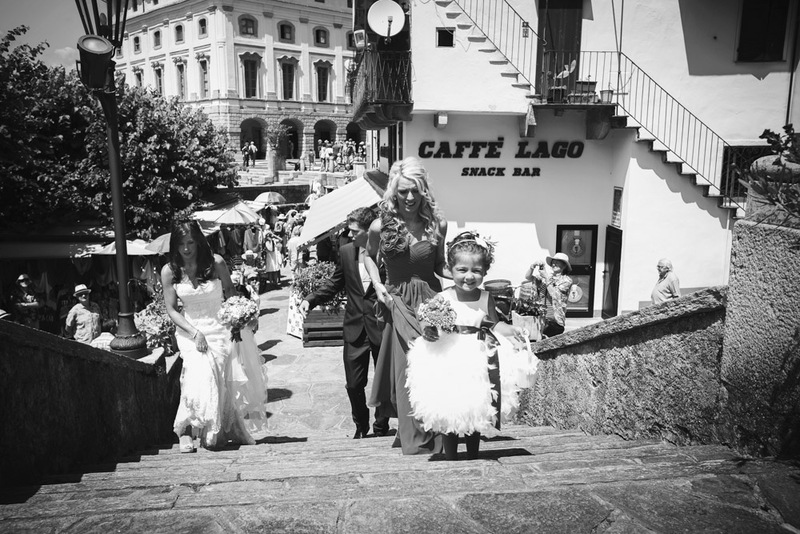 After the ceremony all the guests threw petals to the newlyweds and also rice as a good luck wish, as Italian tradition says. 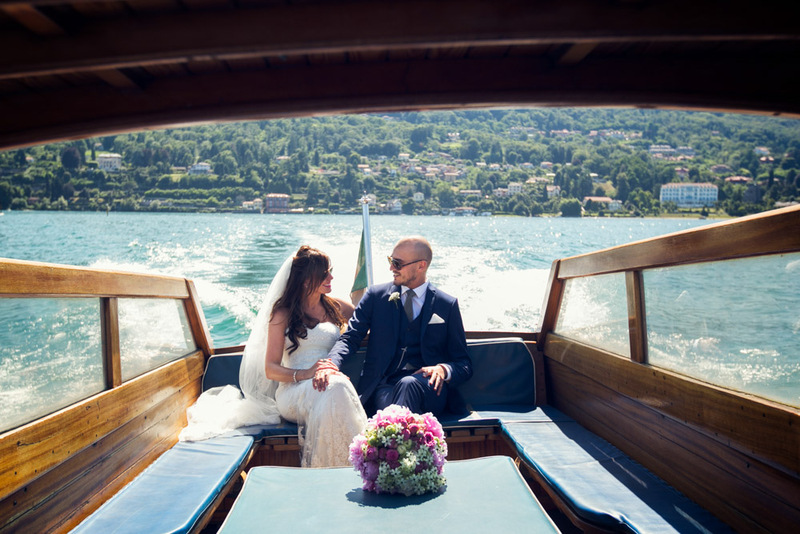 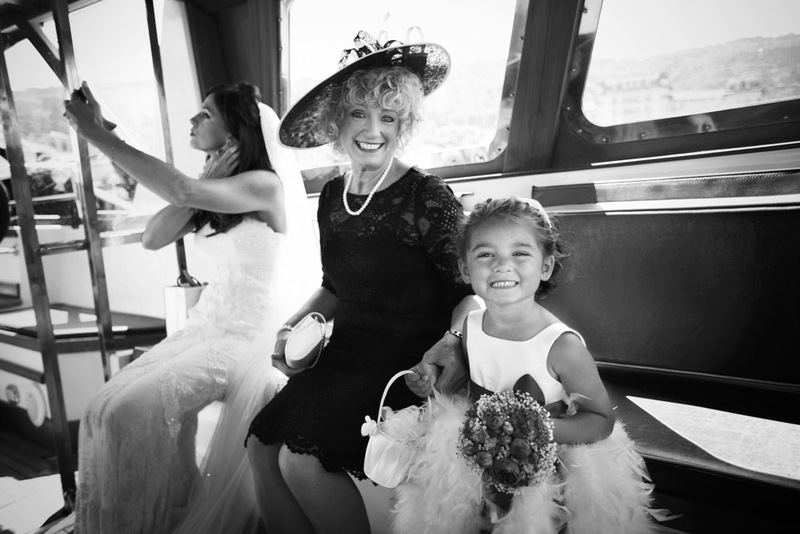 While bride and groom had some photos at the Island, the guests boarded on boat for a tour on the lake. 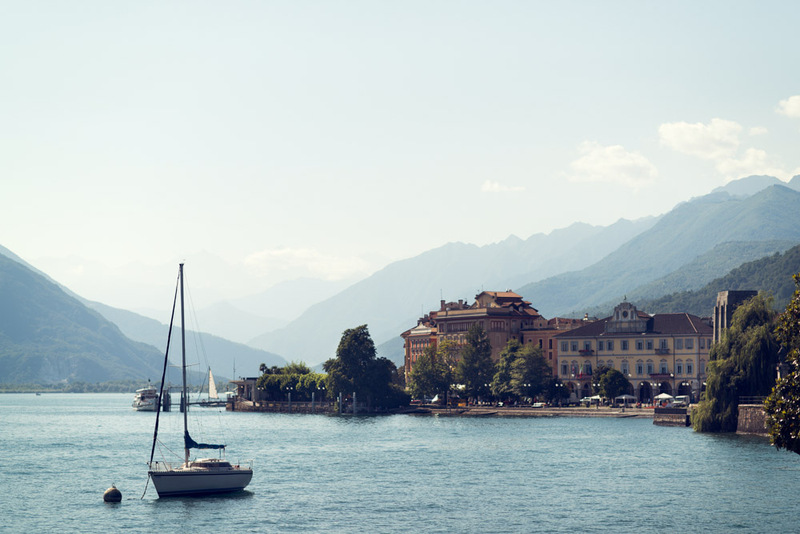 The amazing view of the mountains and the charming villages from the lake is a must to see if you are planning to visit Lake Maggiore! 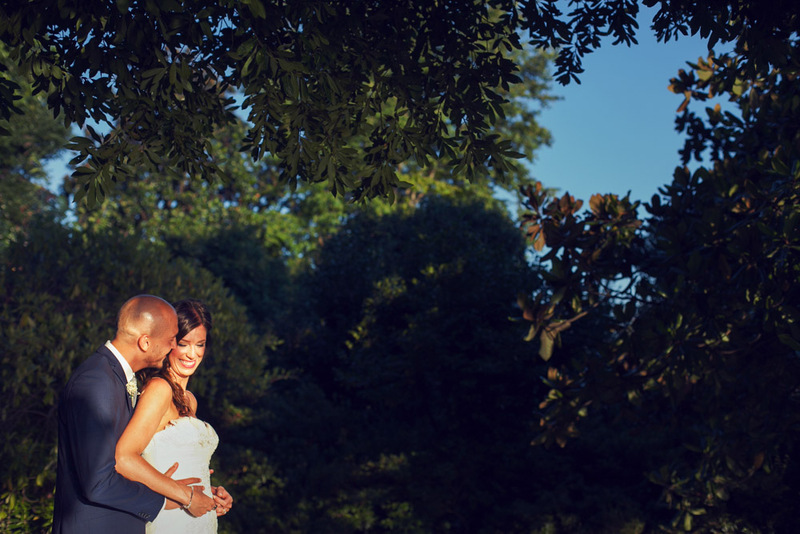 We divided the photo shooting with Mark and Kelly in three sessions, in order not to bother them. 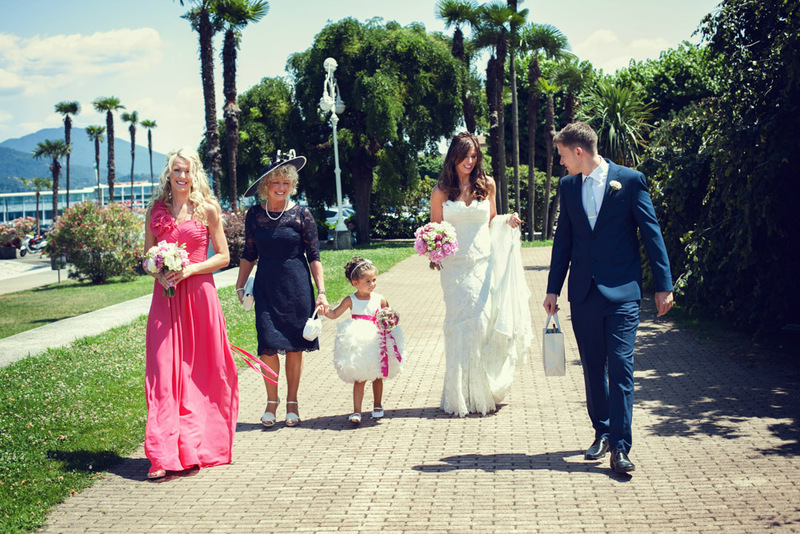 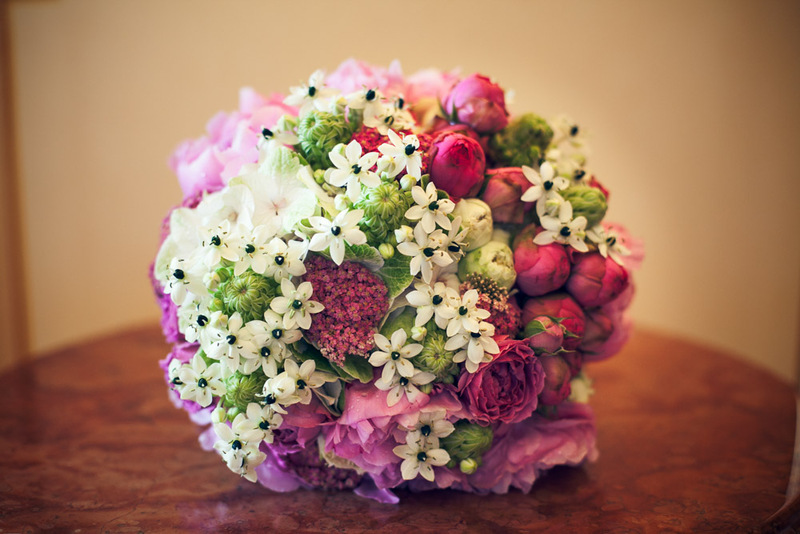 We are happy to let the newlyweds to stay with their guests and enjoy the wedding with family and friends. 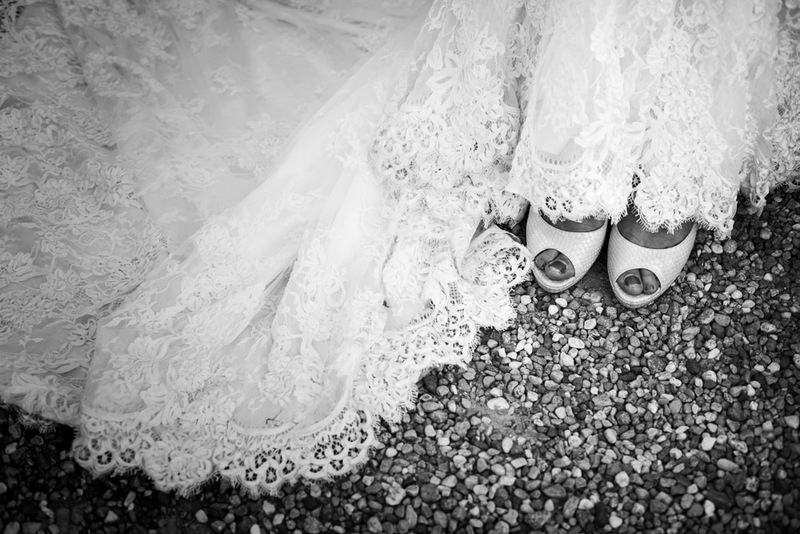 First photo session was at the island after the ceremony, just 10 minutes. 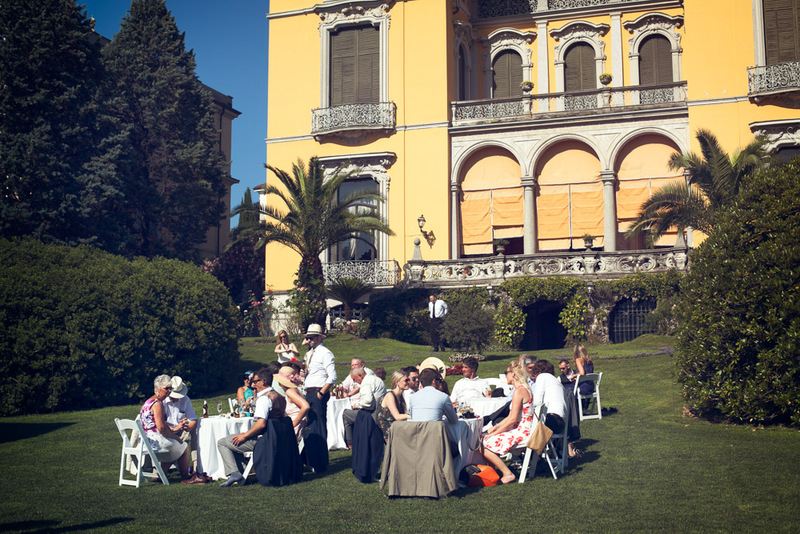 Second session was during the aperitif: group shots with guests and some photo with bride and groom on their own at the Villa. 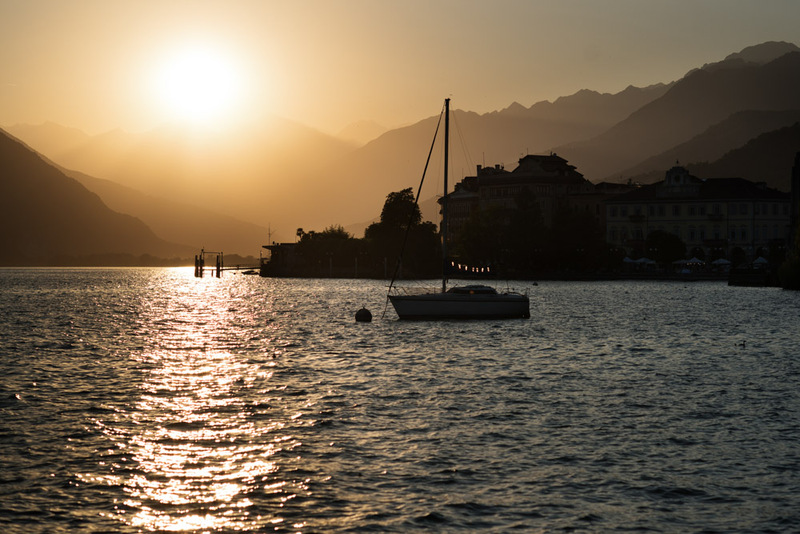 Third session, five minutes, when the lake become magic… just at the sunset! 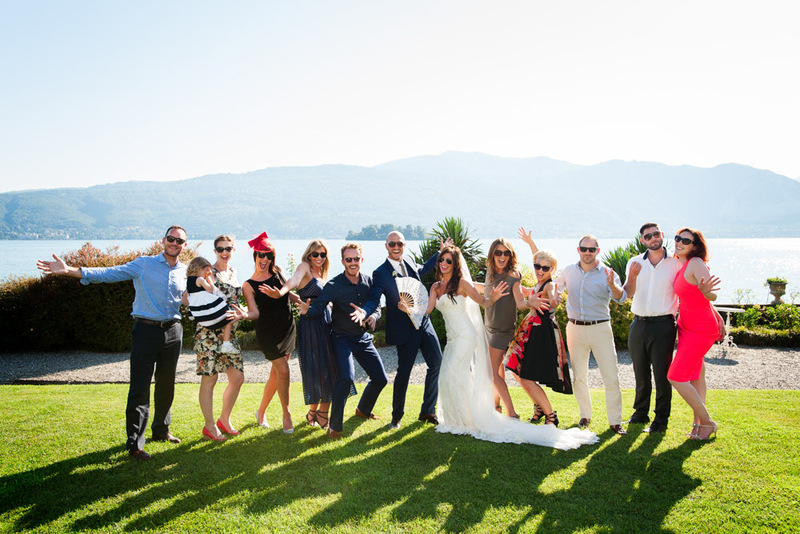 Kelly and Mark, with Andrea and Francesco photographers, after stunning photos went with a private boat to Villa Rusconi for the wedding reception. 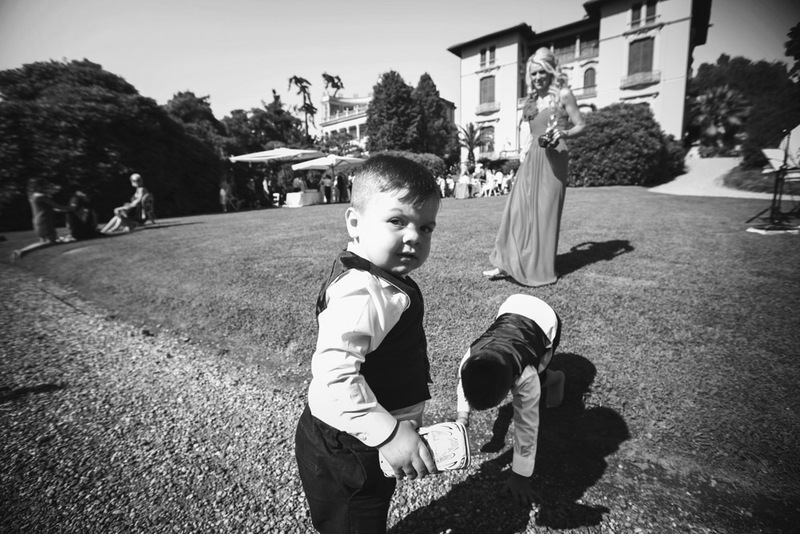 Reception was held at Villa Rusconi Clerici, it’s a beautiful Villa, reachable just by the lake with a private jetty for boat. 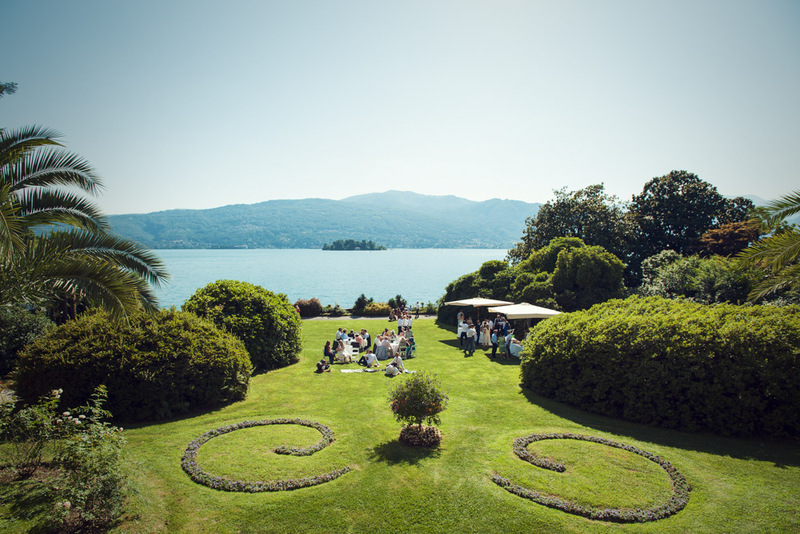 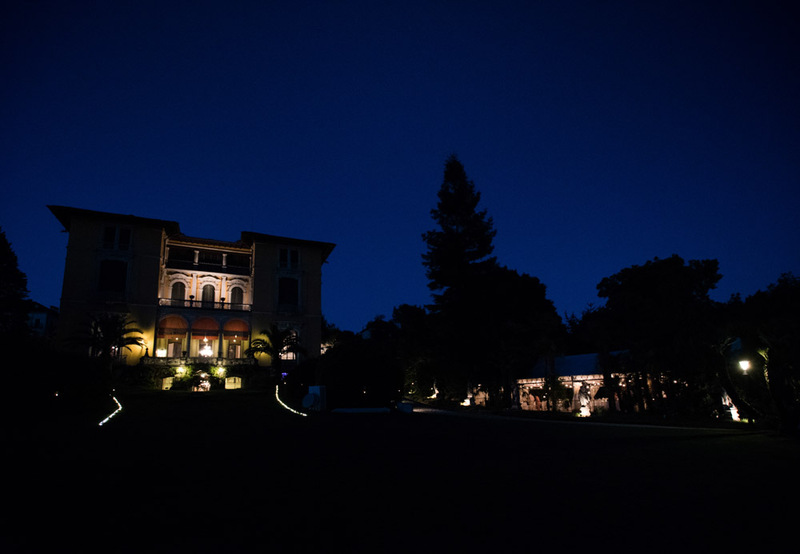 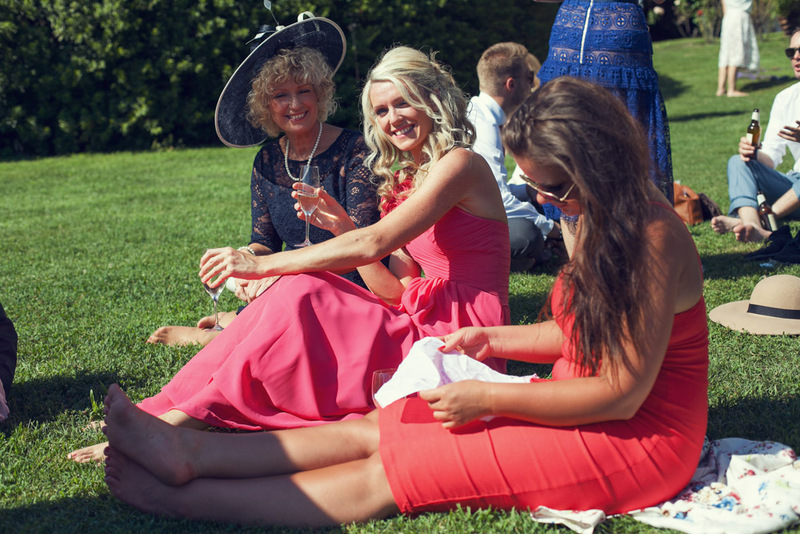 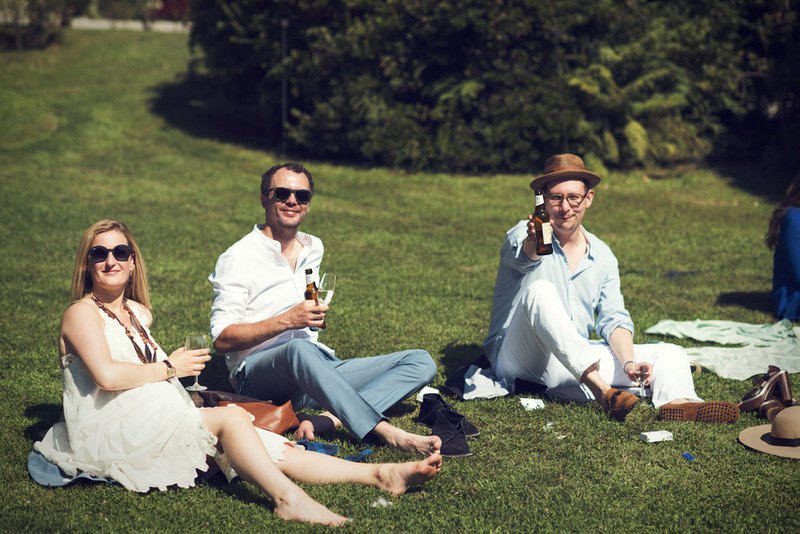 As a welcome was served prosecco for aperitif and yummy canapés to the guests and a very relaxed atmosphere on the grass let the people enjoy the breathtaking view of the lake by the shores. 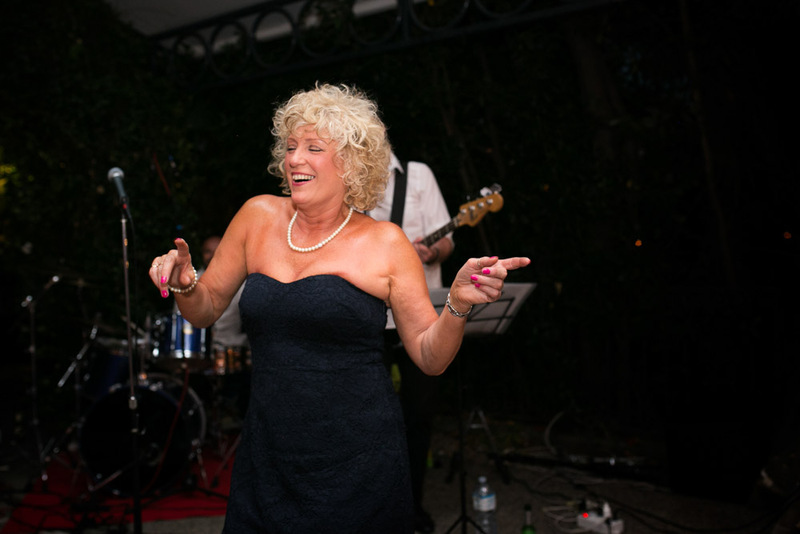 During the aperitif and the reception, an extraordinary duo from London played fine music: the singer was Nikitta Angus, one of the finalist of 3rd X Factor UK edition. 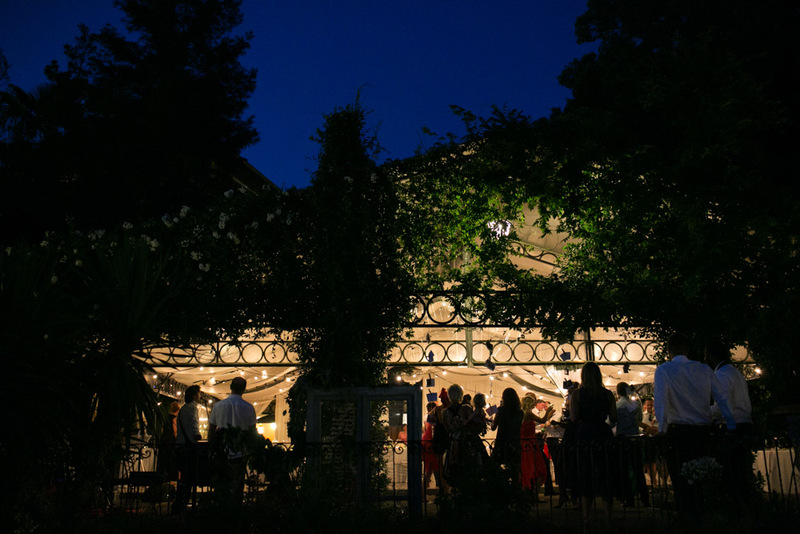 Under the pavillon was served the delicious dinner, after touching and hilarious speeches. 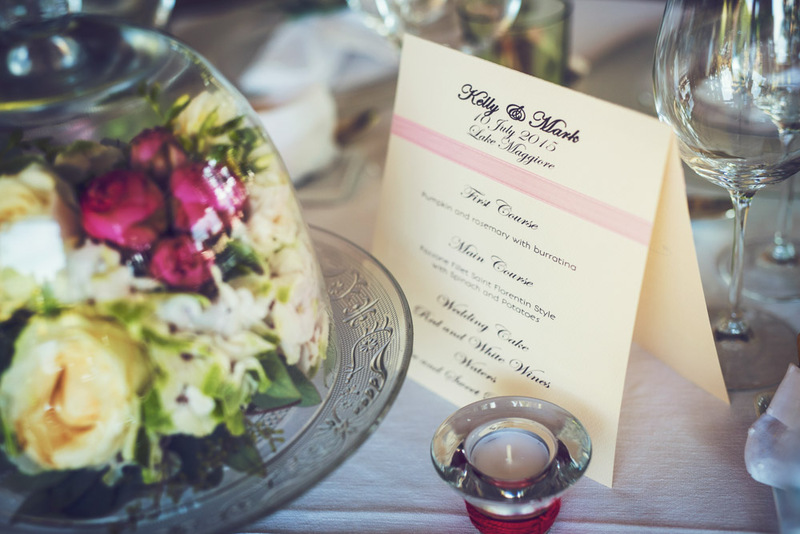 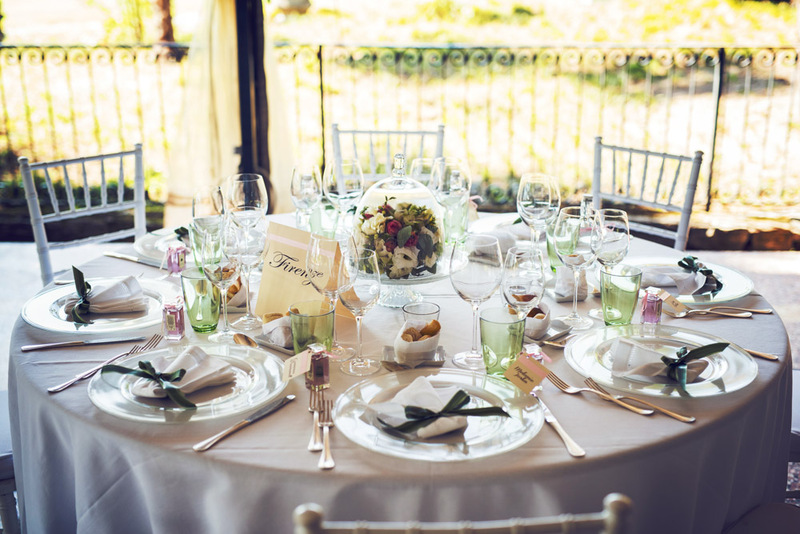 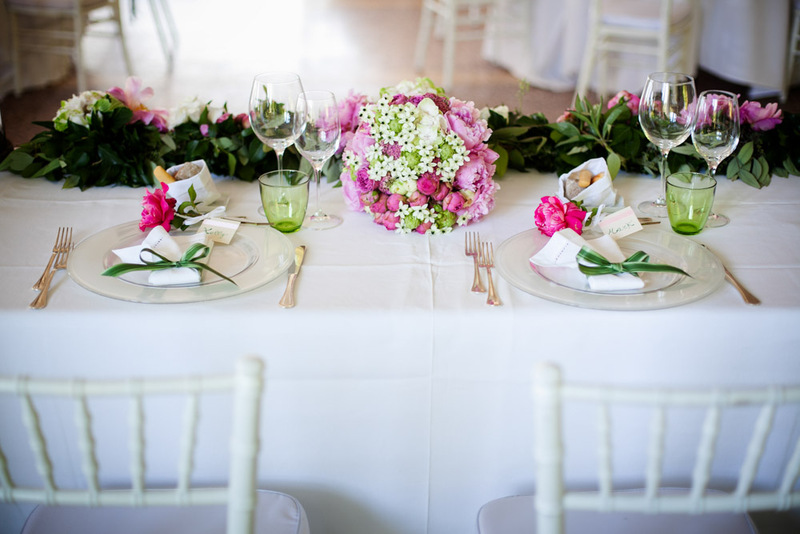 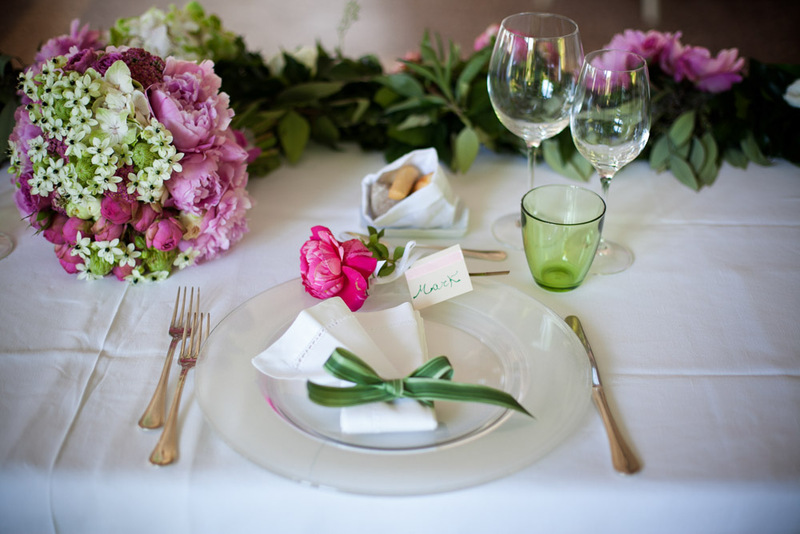 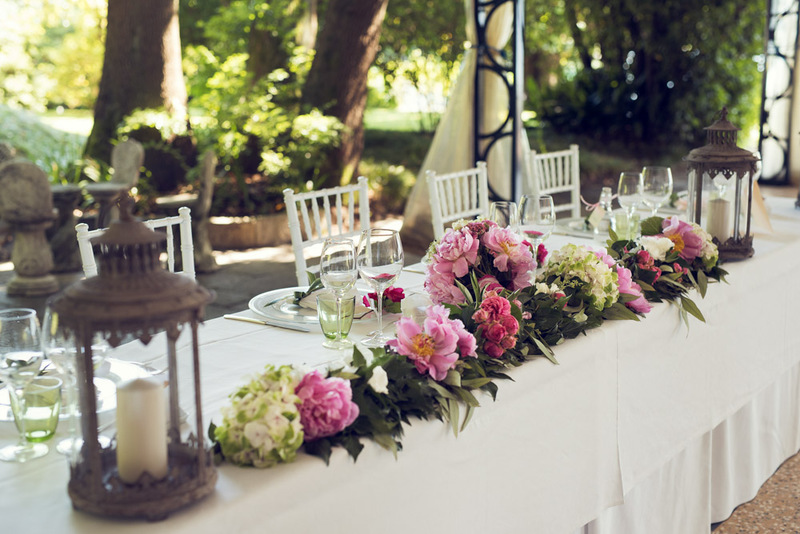 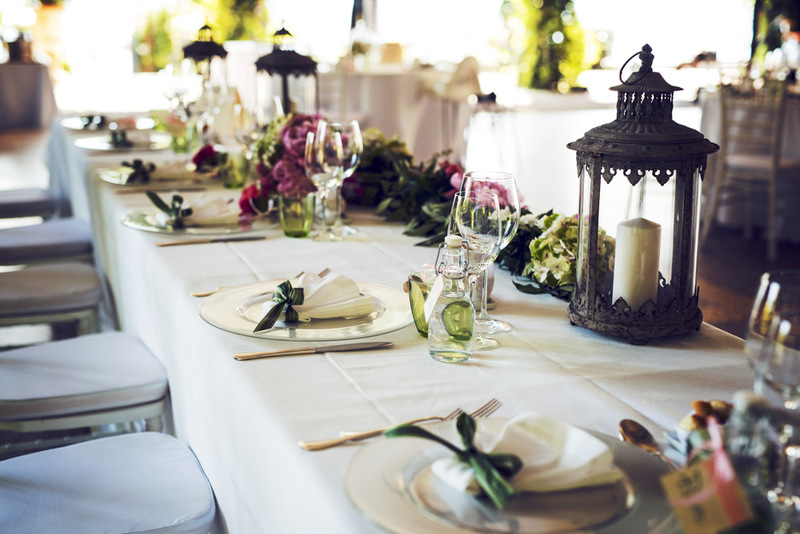 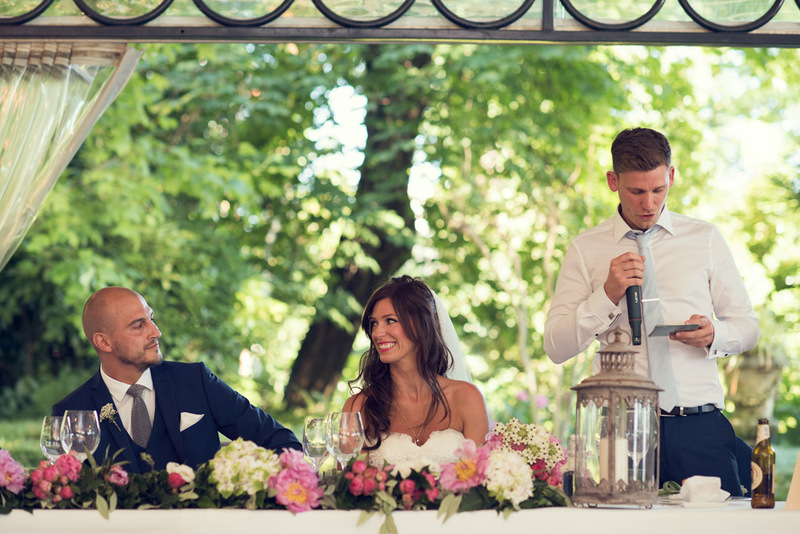 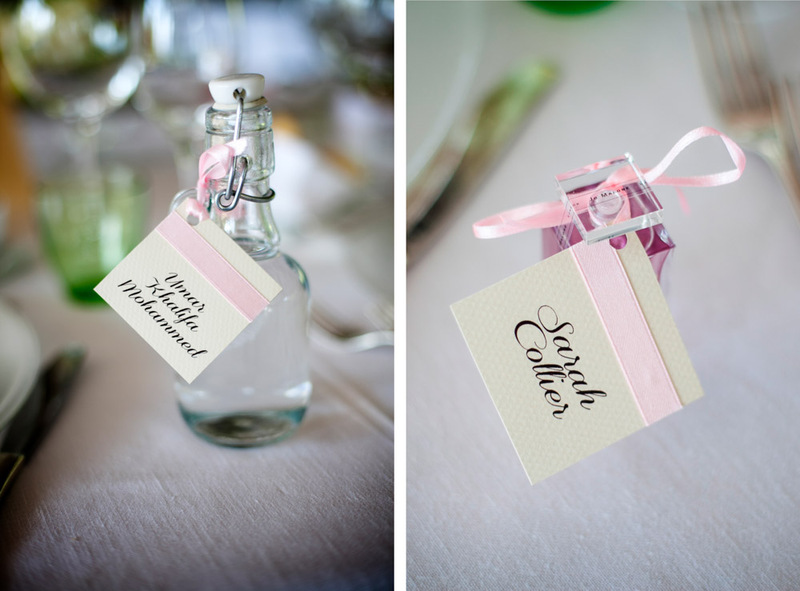 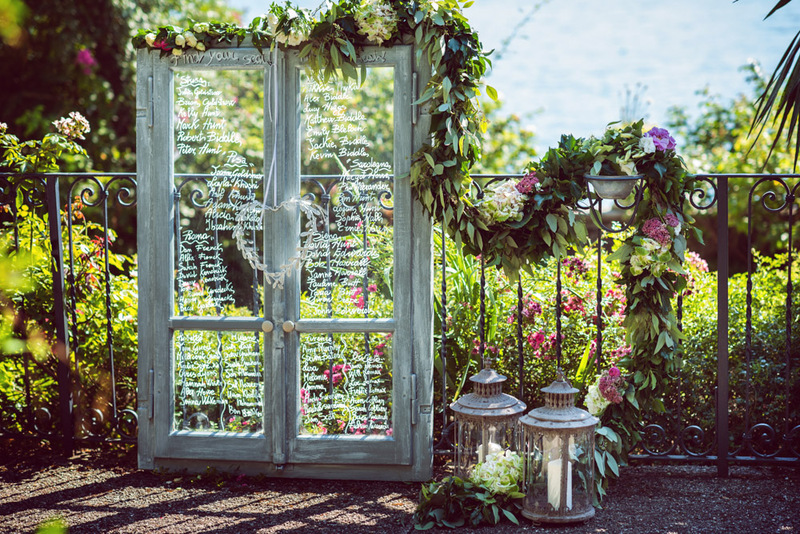 The tableau de mariage was created on a vintage window and the tables was decorated with glass vases, with pink and white flowers. 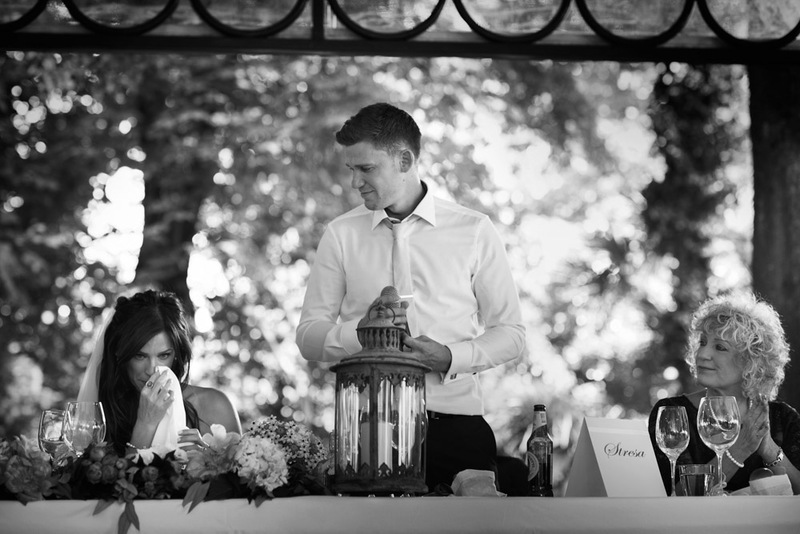 Once again everything was perfect! 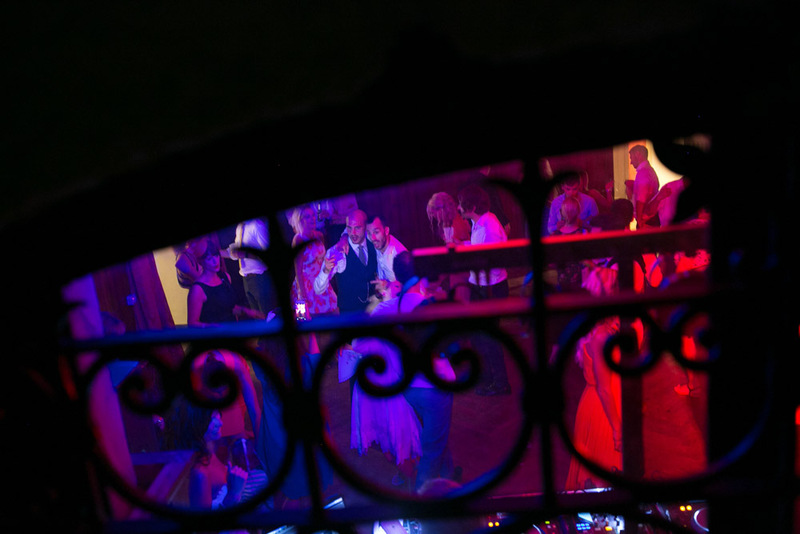 After dinner, the newlyweds cut the wedding cake and they had the first dance opening the dance floor. 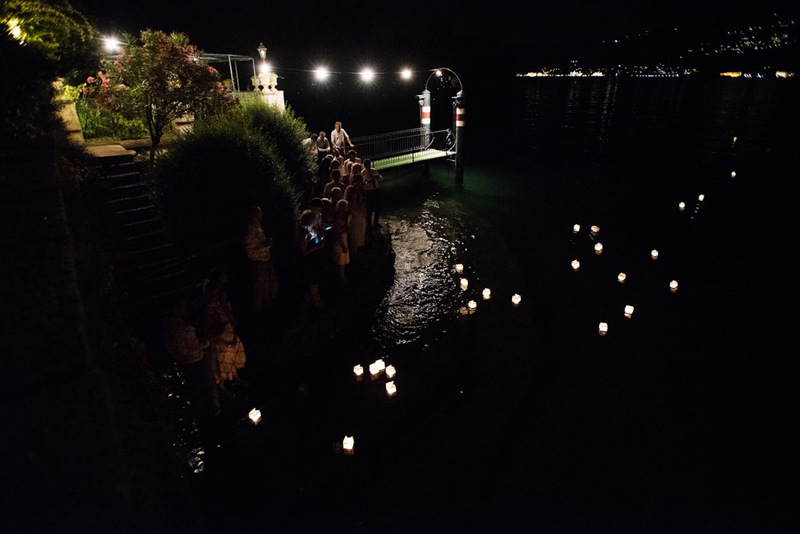 At about 11 pm, floating lanterns were released on the lake with wishes by all the guests. 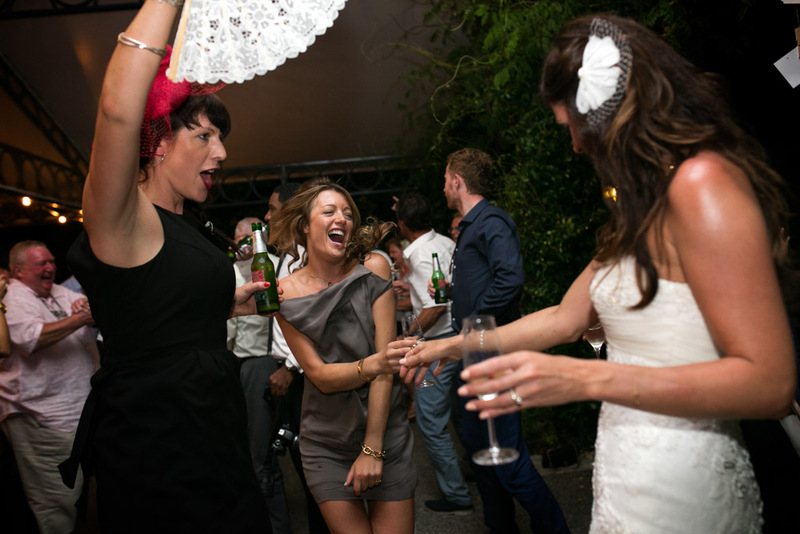 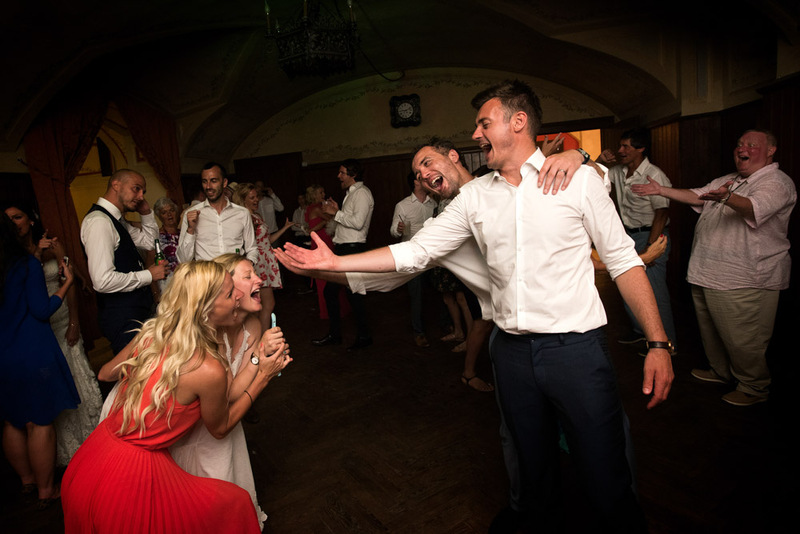 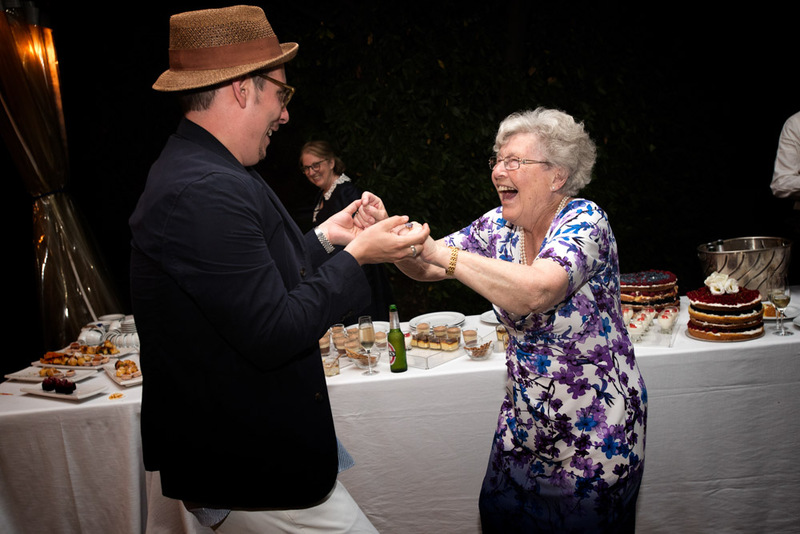 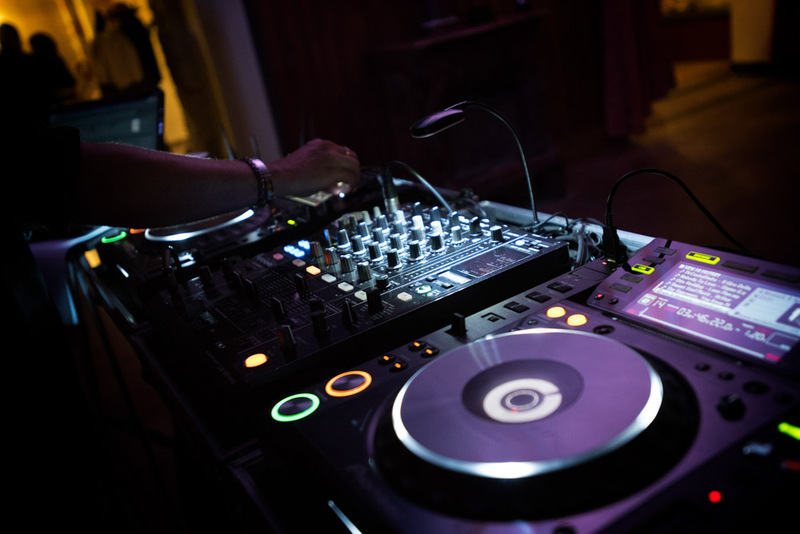 And then the party started with a dj set in the villa’s cellar with an open bar and a lot of fun! 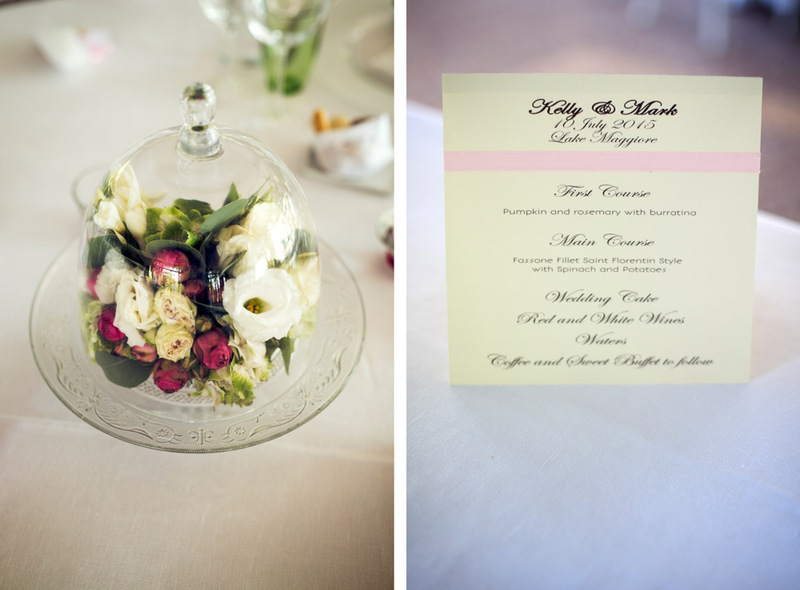 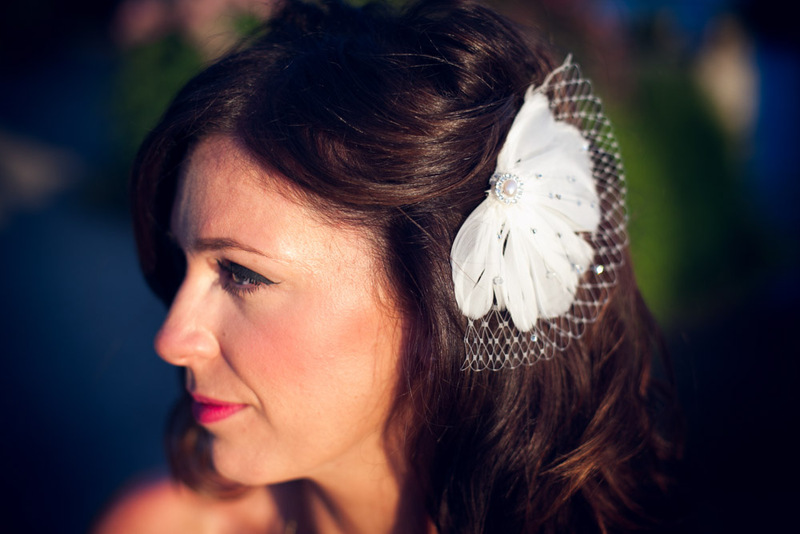 Thanks a lot Kelly and Mark to have chosen Independent Pictures! 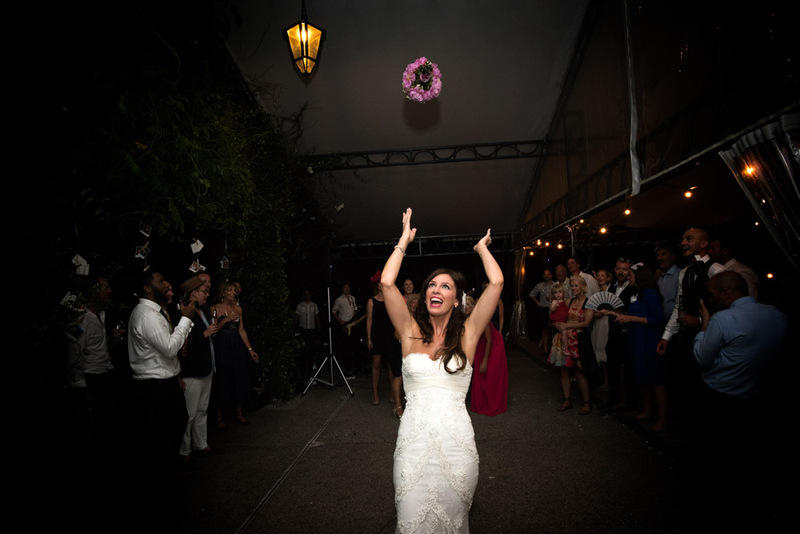 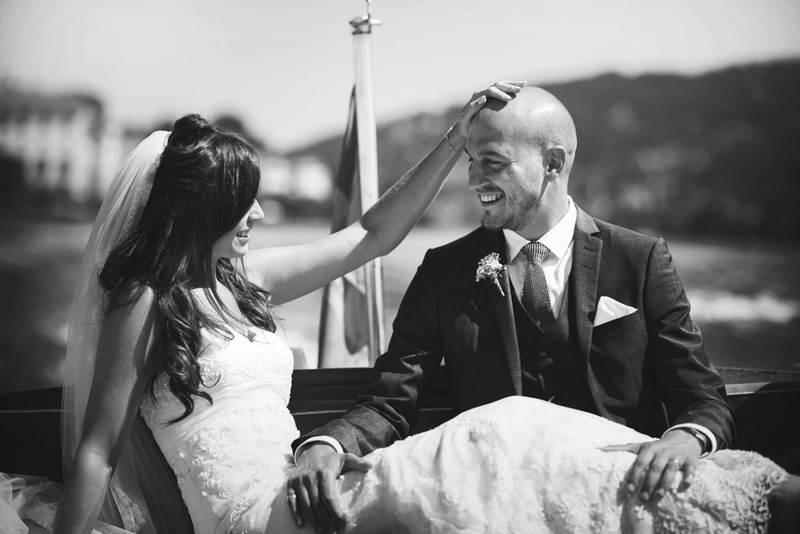 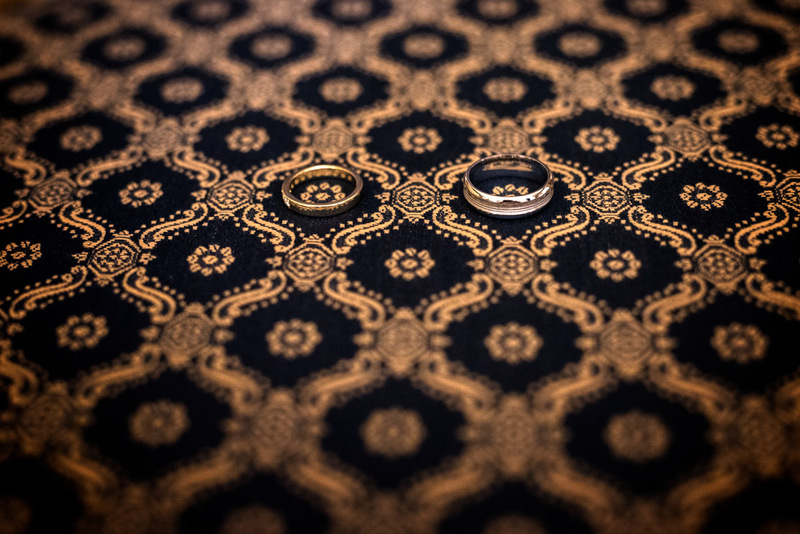 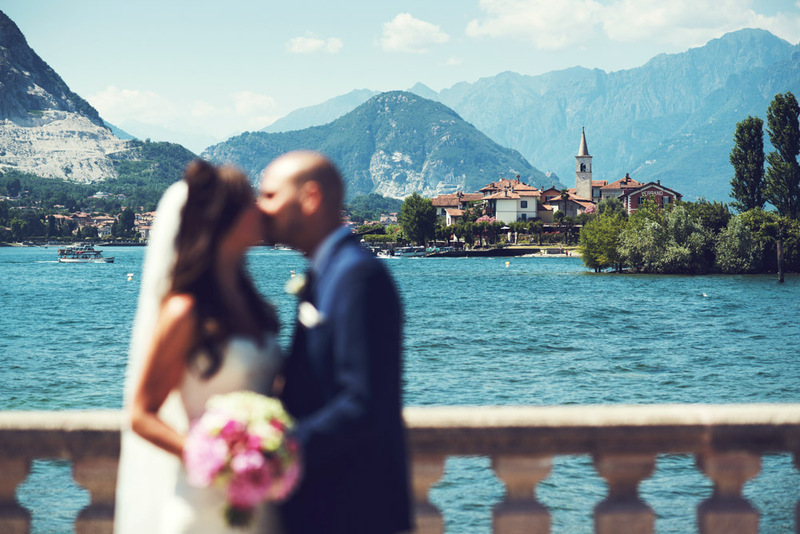 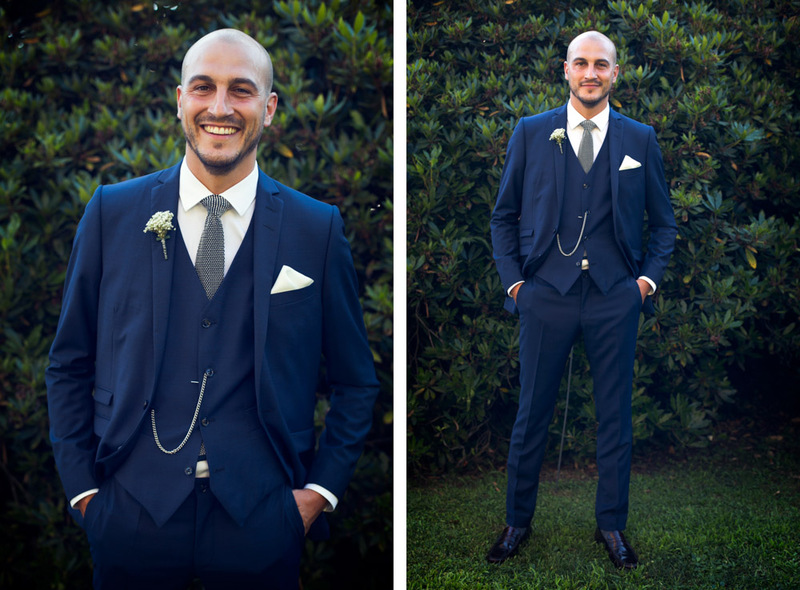 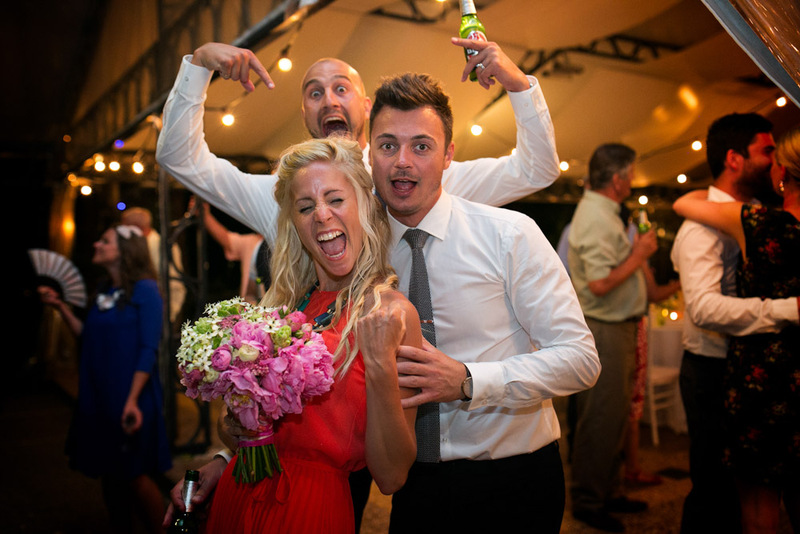 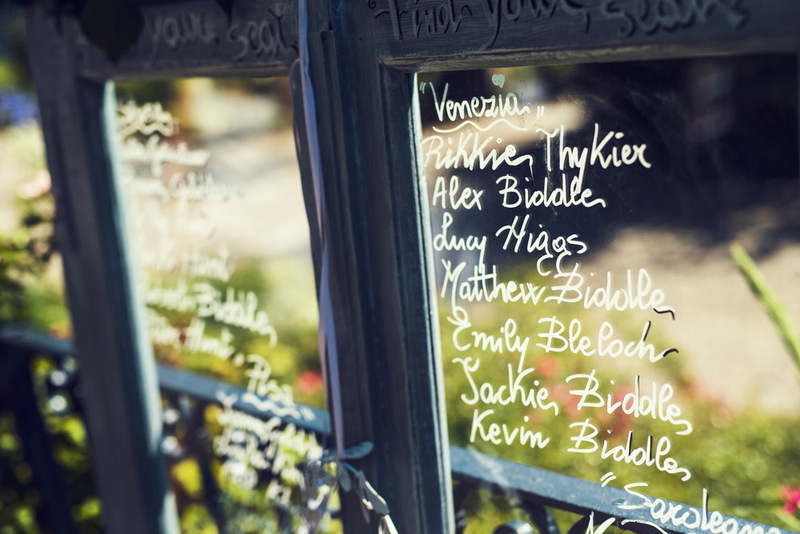 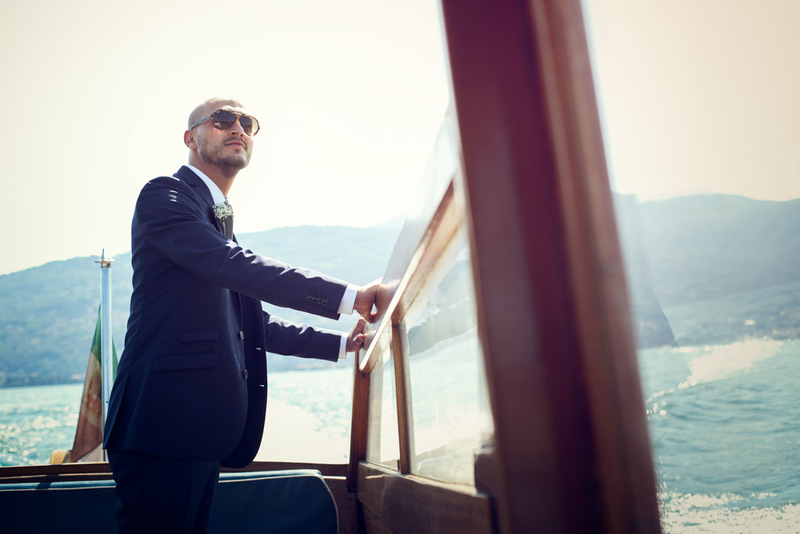 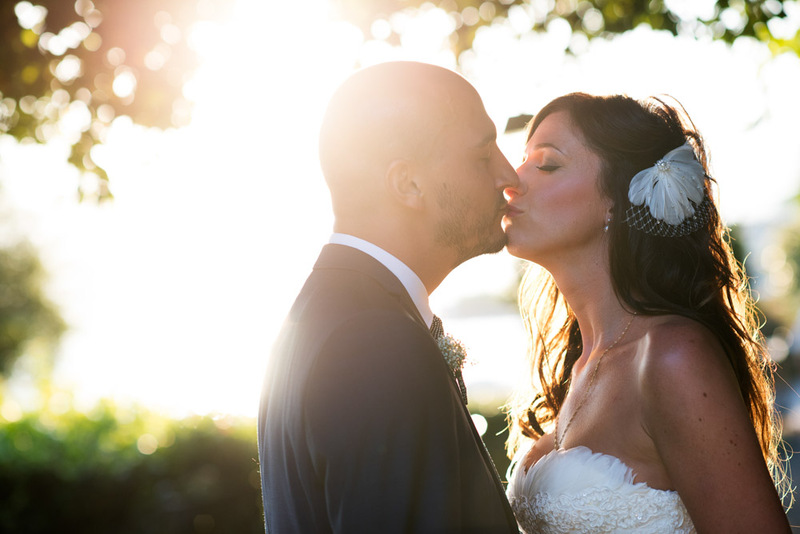 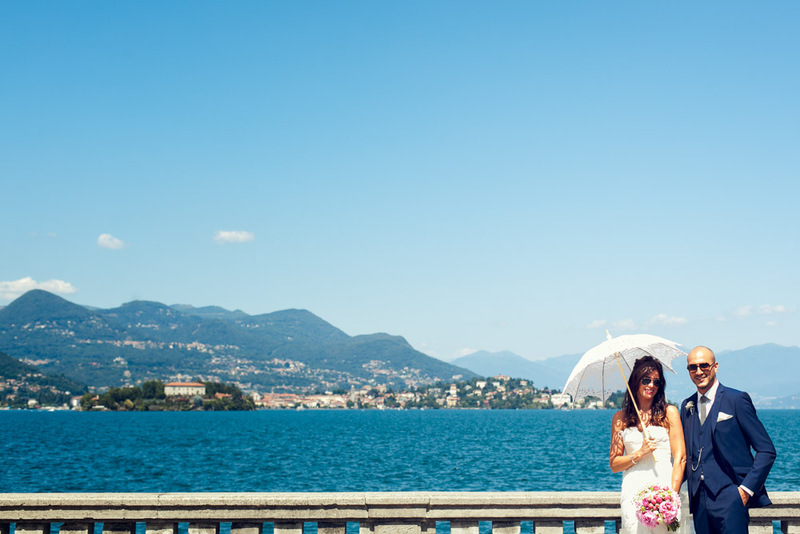 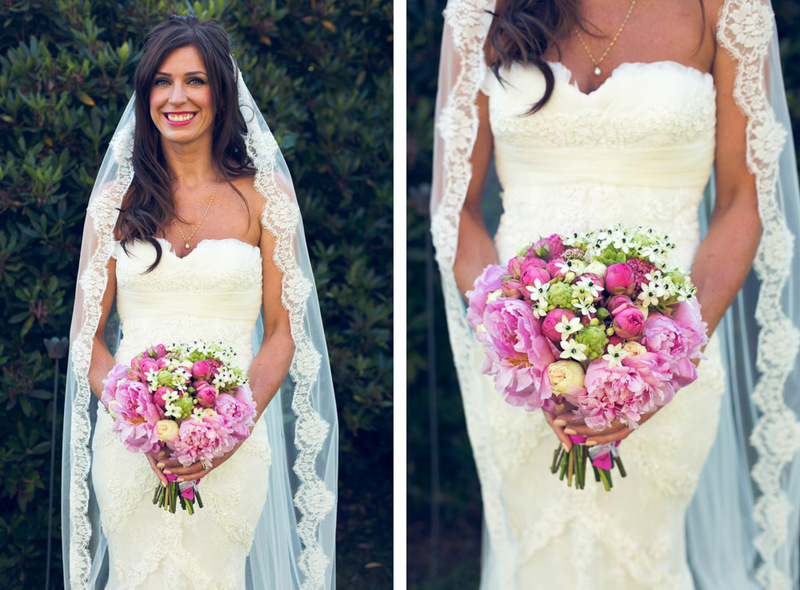 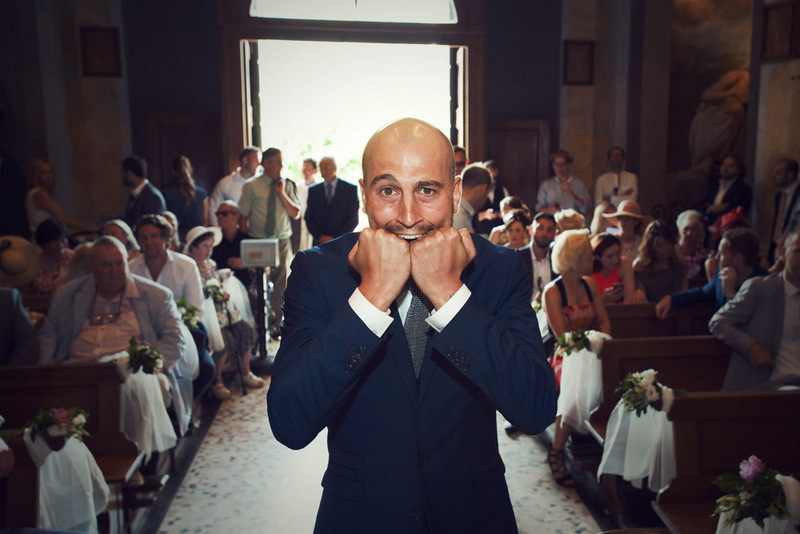 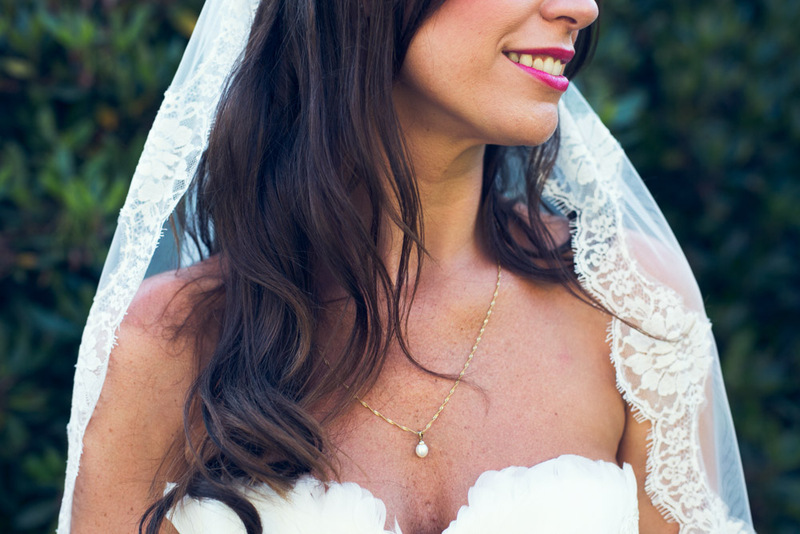 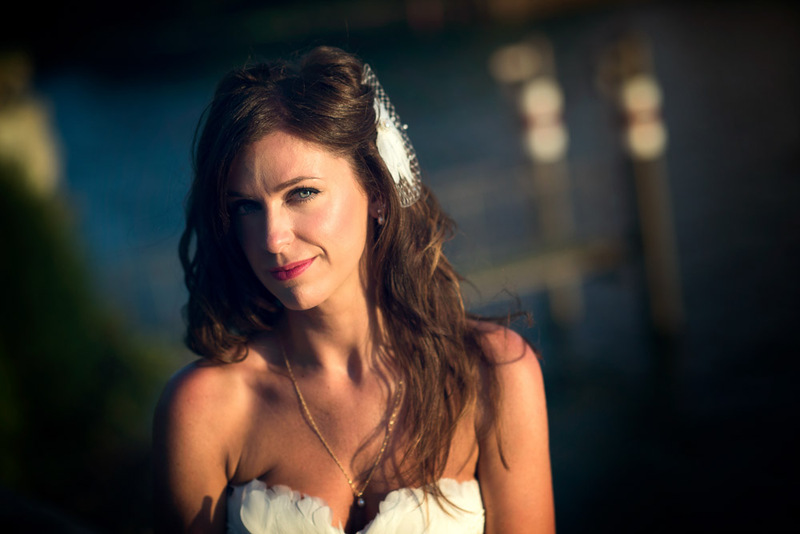 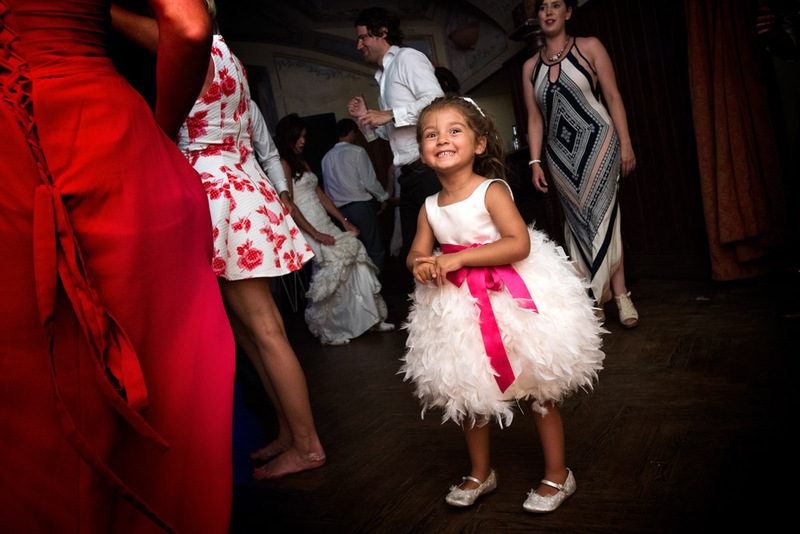 It was such a pleasure being your Lake Maggiore wedding photographer!